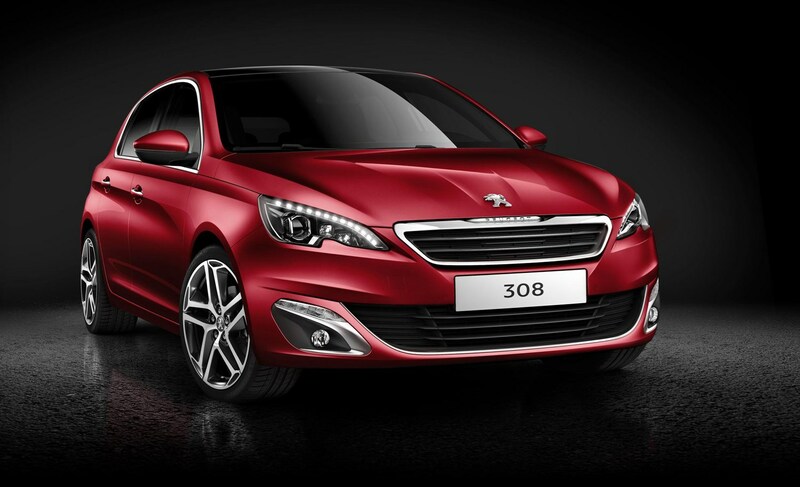 Insurance group: 9 - 36 How much is it to insure? 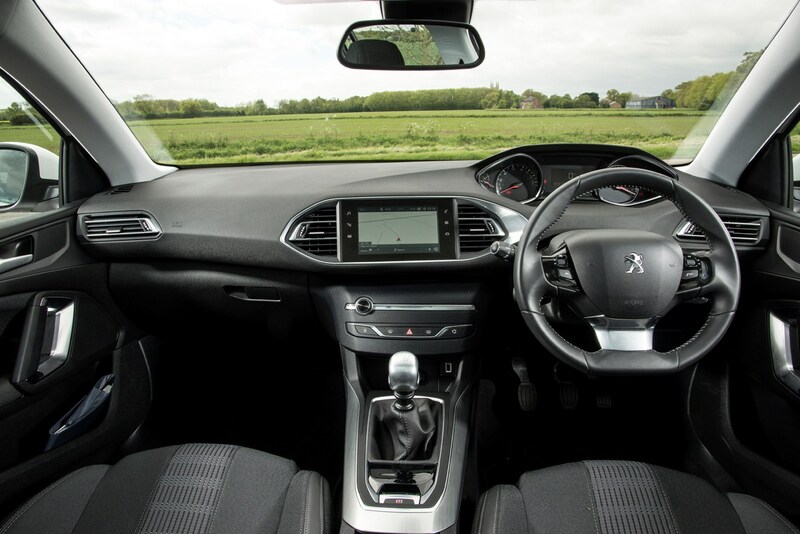 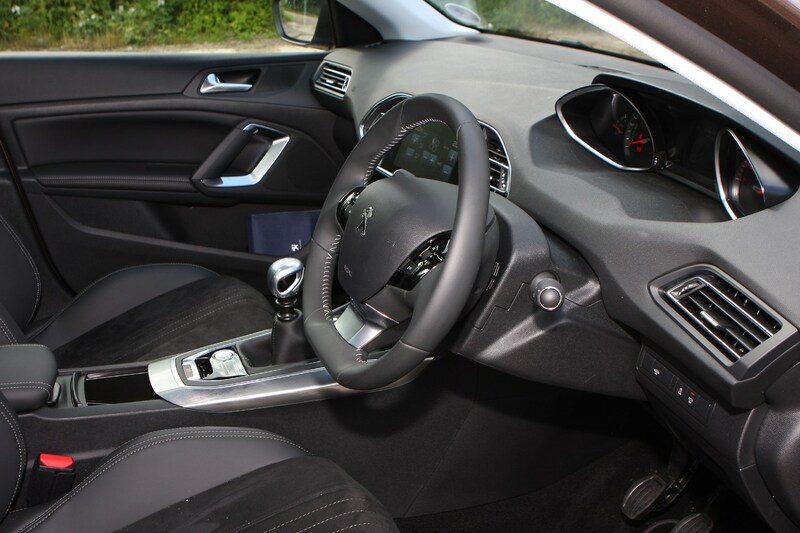 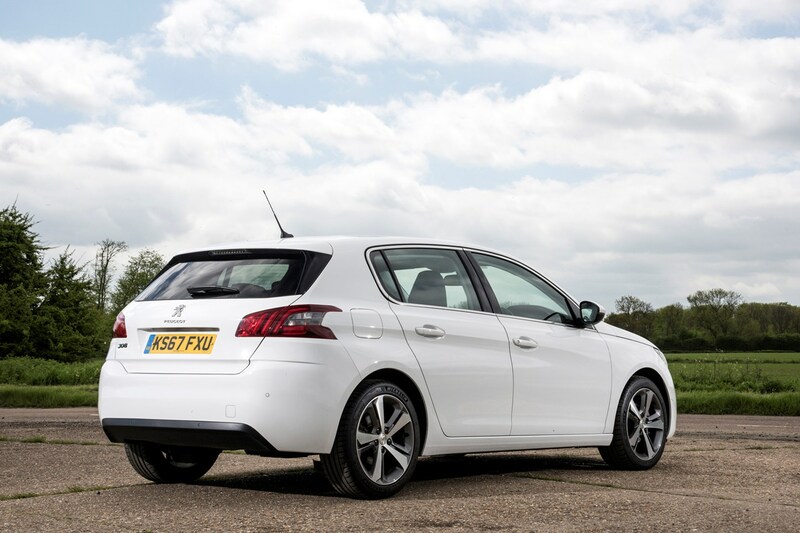 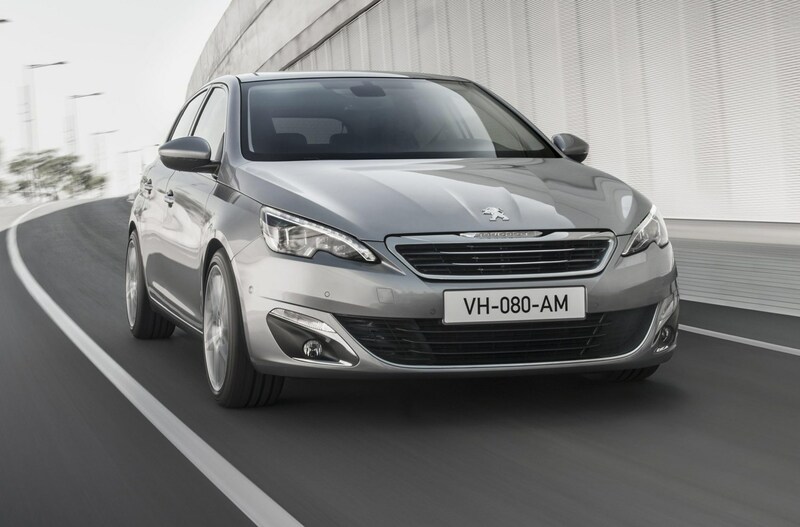 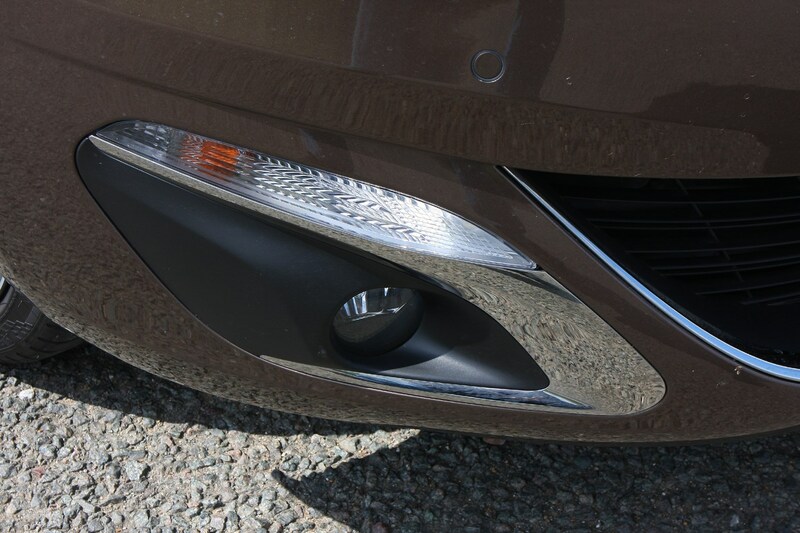 The Peugeot 308 is a smartly-styled five-door family hatchback offering a vast range of frugal engines - be it PureTech petrol or BlueHDi diesel - a good drive and a modern interior to make it as competitive as possible with a huge number of rivals. 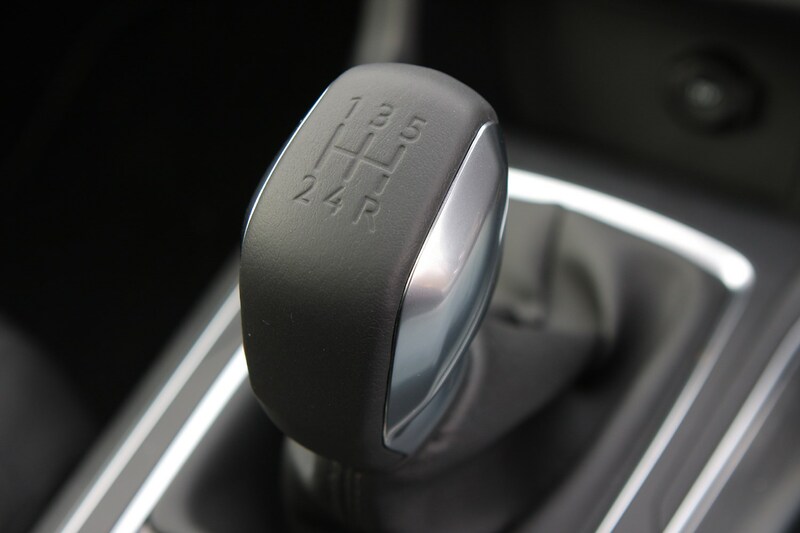 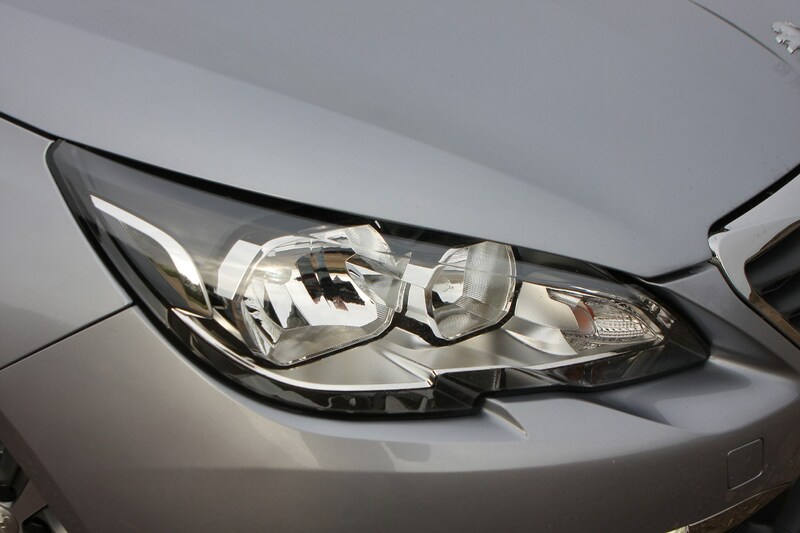 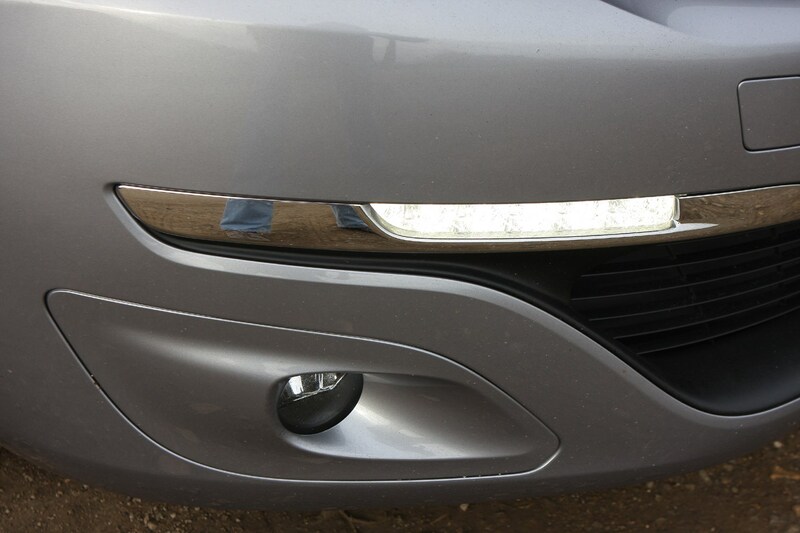 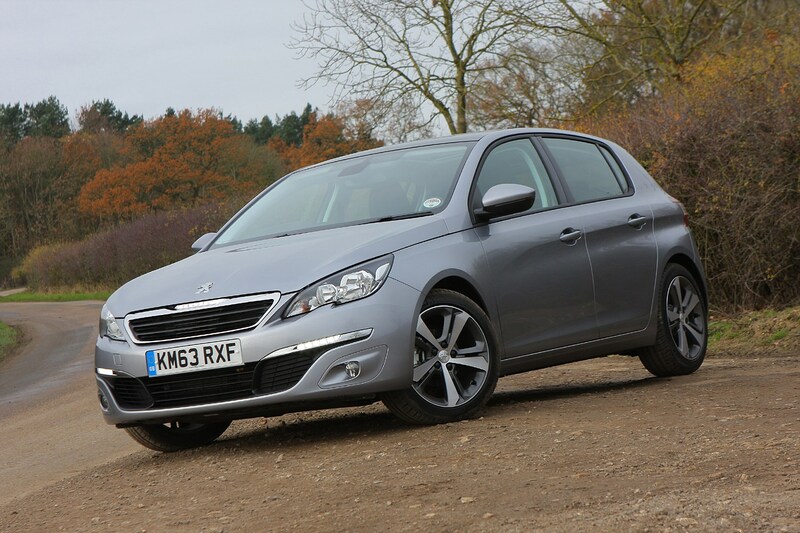 Its biggest problem is that all these rivals are incredibly talented, from the Ford Focus and Volkswagen Golf to the Hyundai i30, Kia Ceed, SEAT Leon, Vauxhall Astra and Renault Megane. 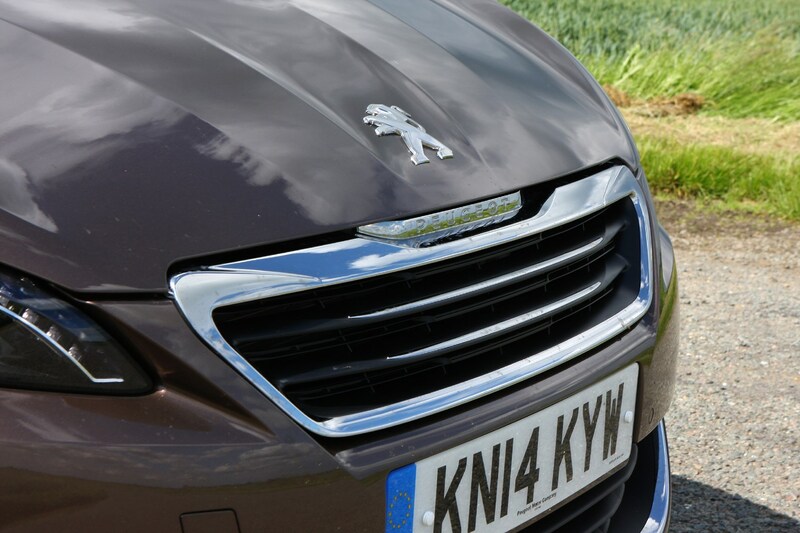 Not only that, the 308 has competition from a range of crossovers like the Nissan Qashqai, Renault Kadjar and Skoda Karoq, not to mention some in-house threats from the 2008 and 3008 crossovers. 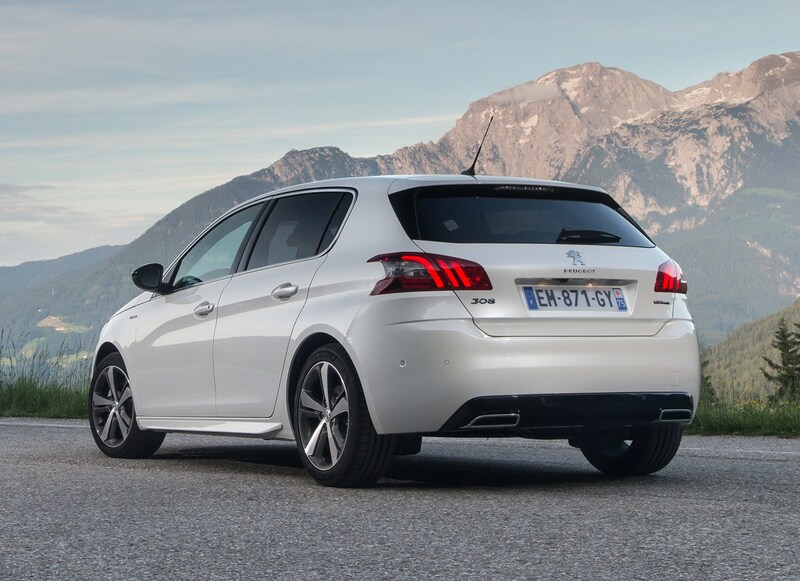 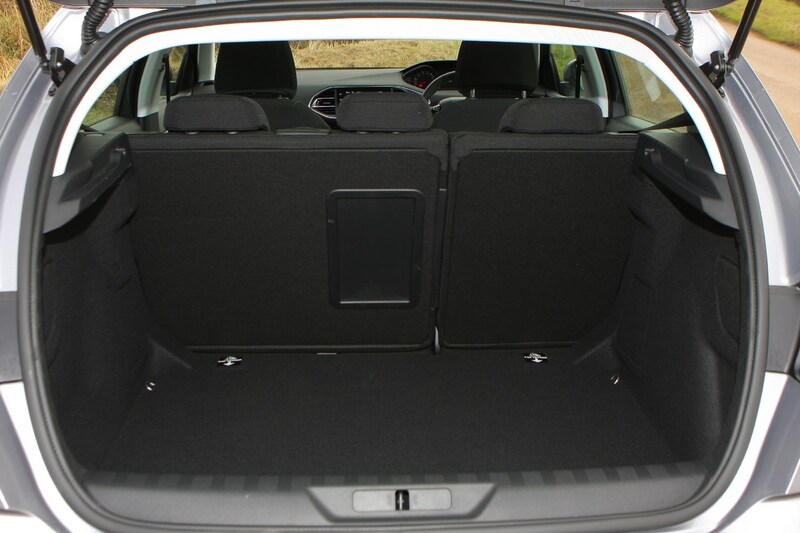 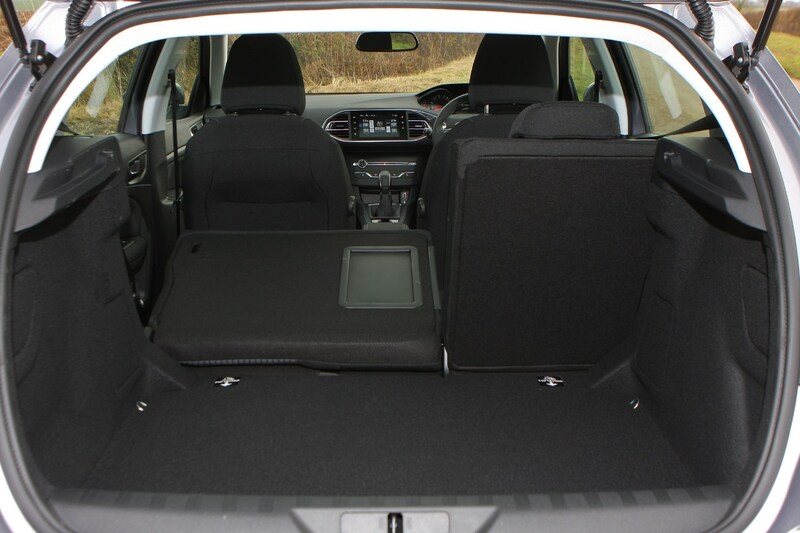 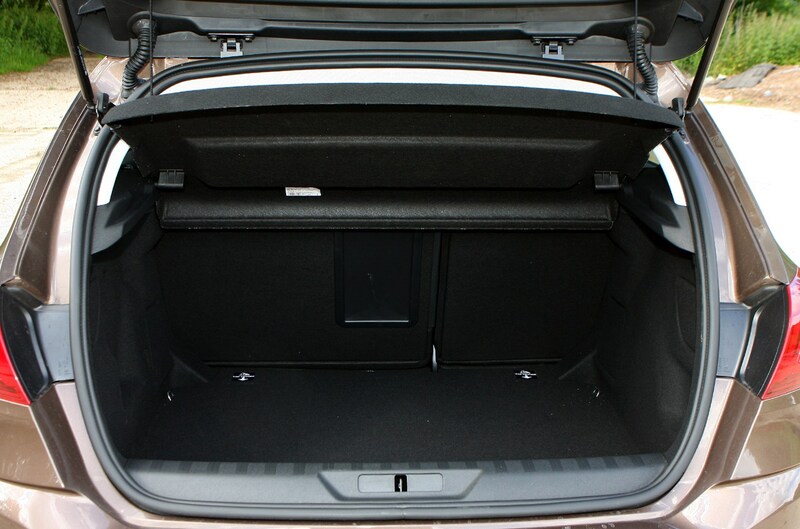 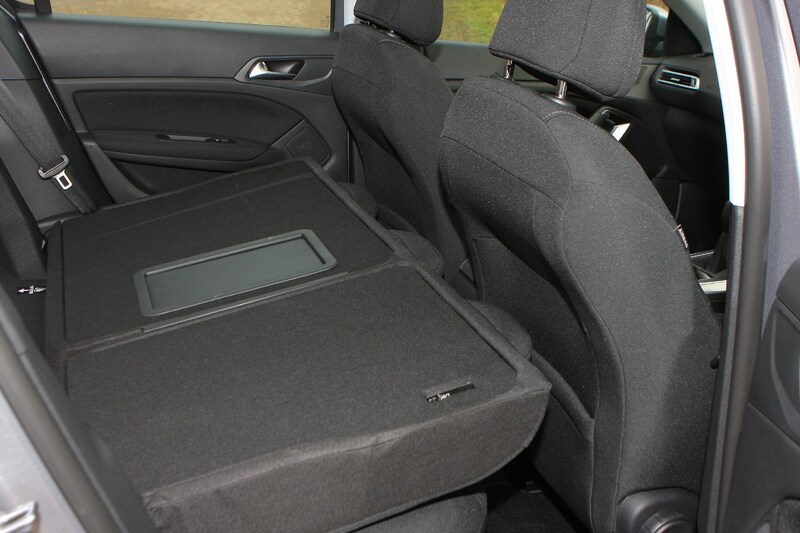 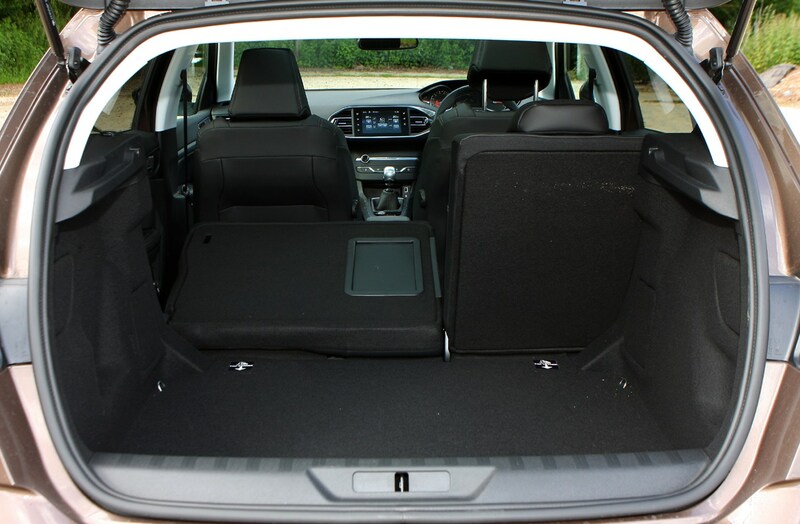 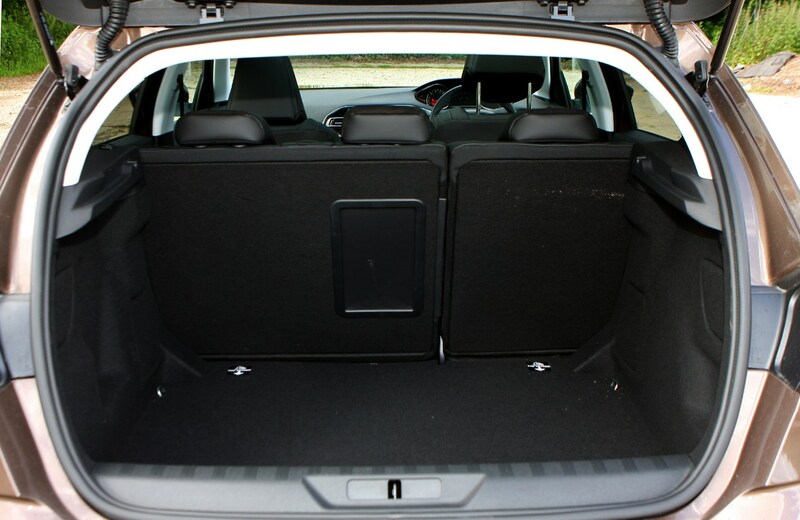 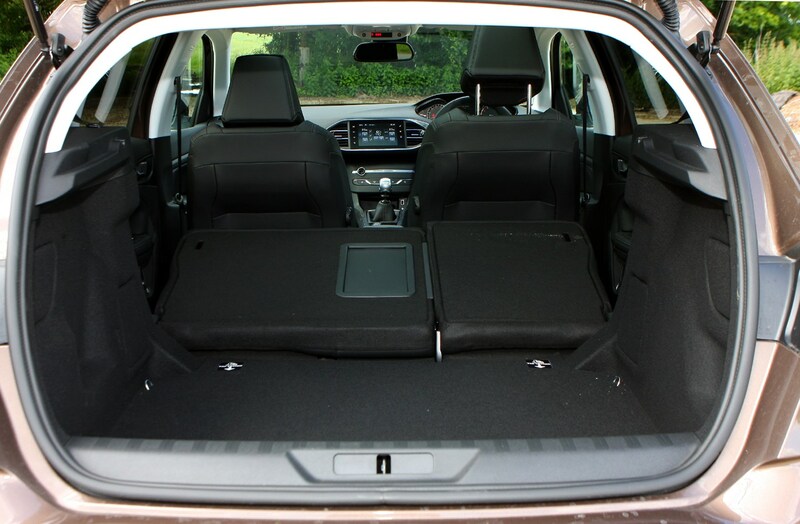 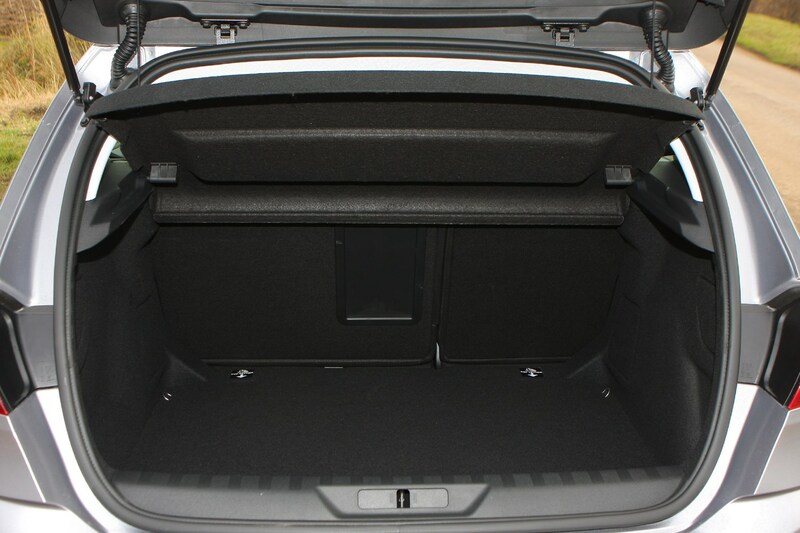 If you want the hatchback with the biggest boot on offer, the 308 is your car with 470 litres of space, but other than this there isn't one glaring reason why you'd buy the 308. 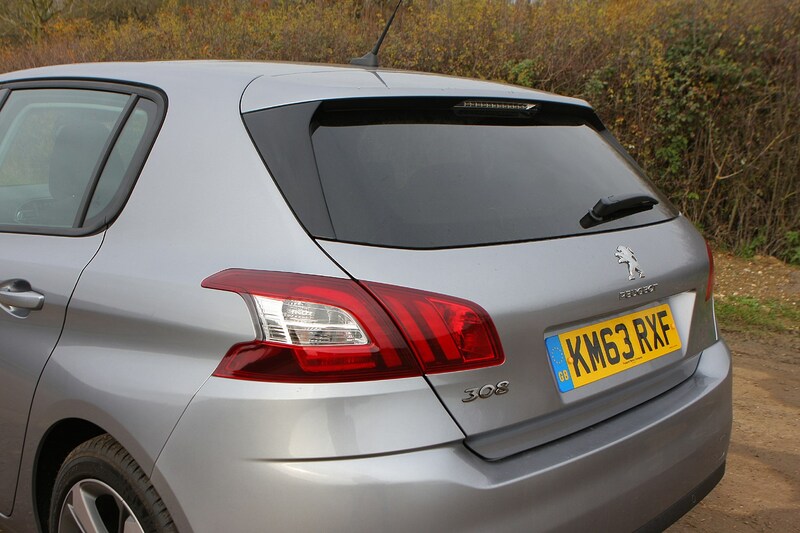 It's accomplished in many areas and does offer low running costs, a good dose of practicality and value for money, but doesn't trounce its competition otherwise. 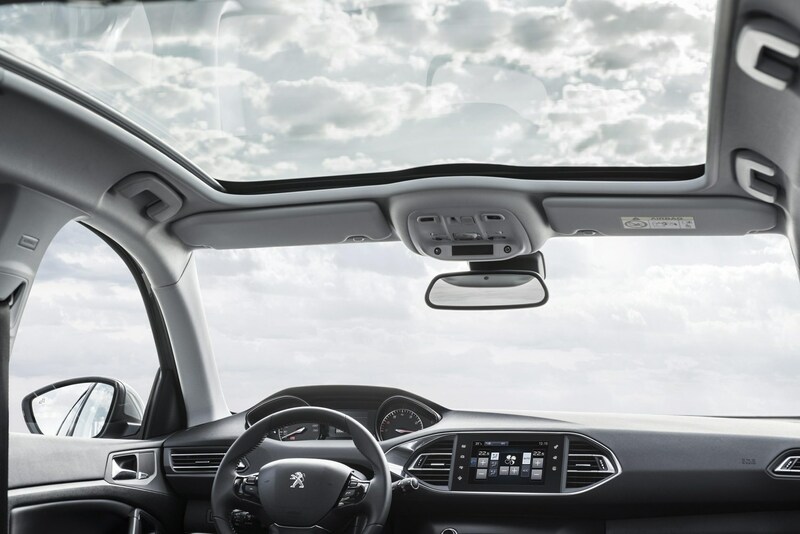 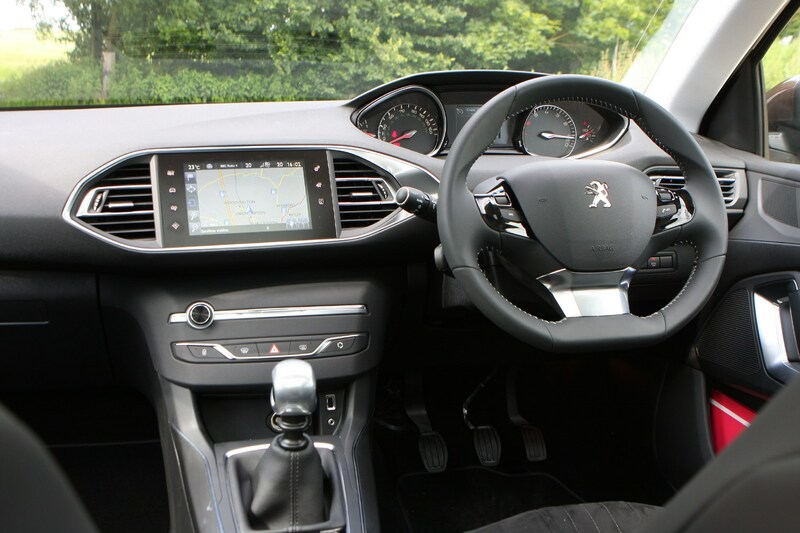 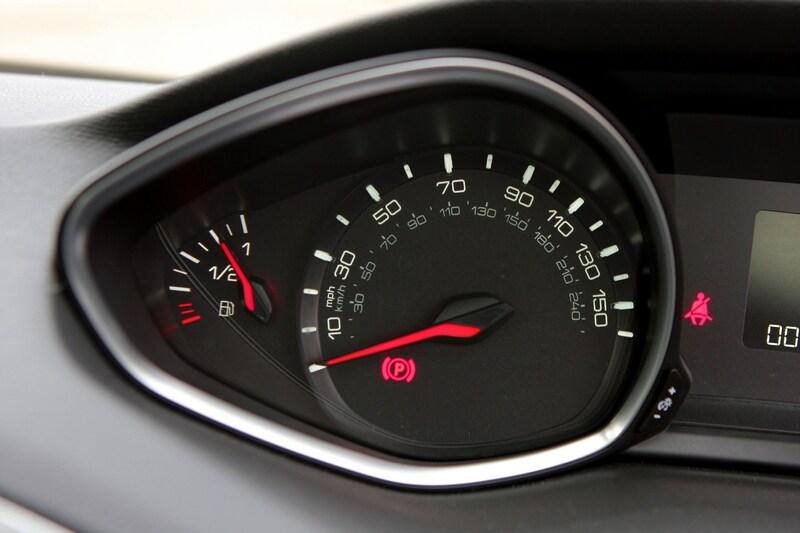 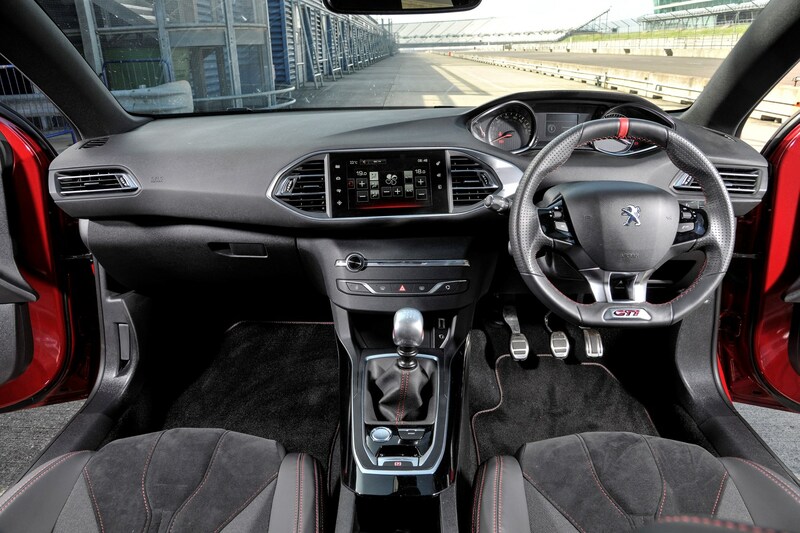 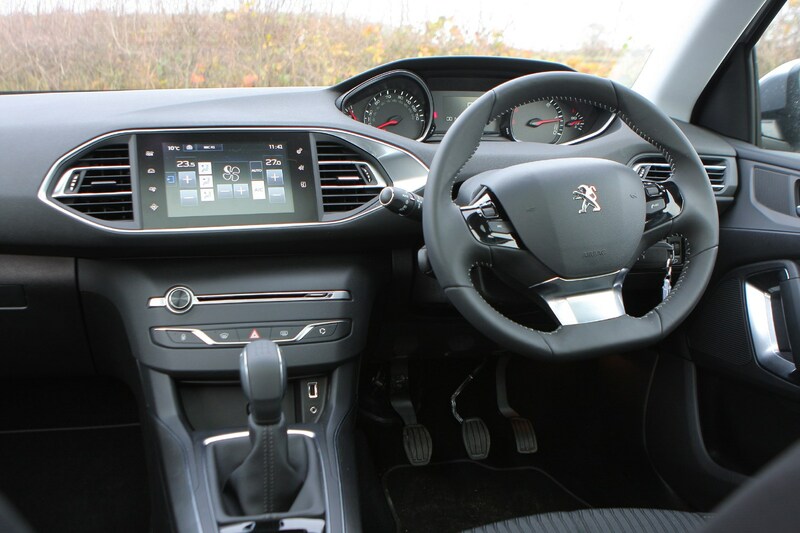 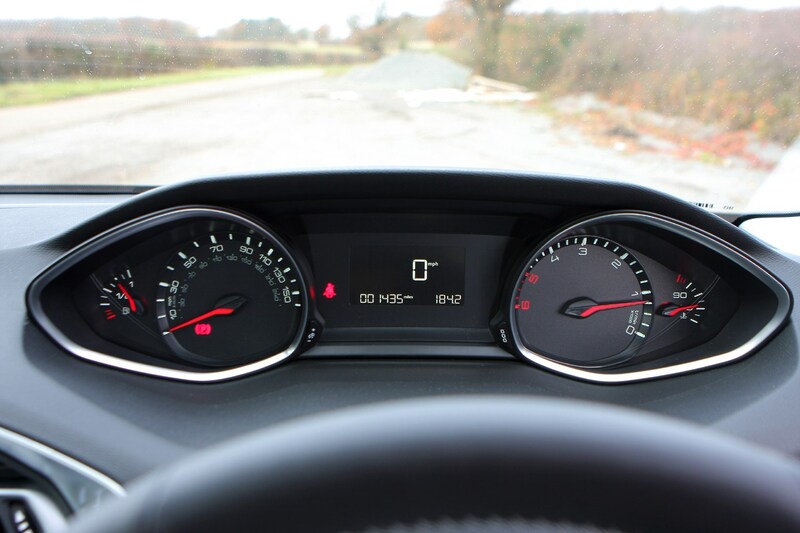 The 308 features Peugeot's i-Cockpit design, which means there's a simplified dashboard with everything controlled via a large touchscreen, plus a small steering wheel and high-set dials. 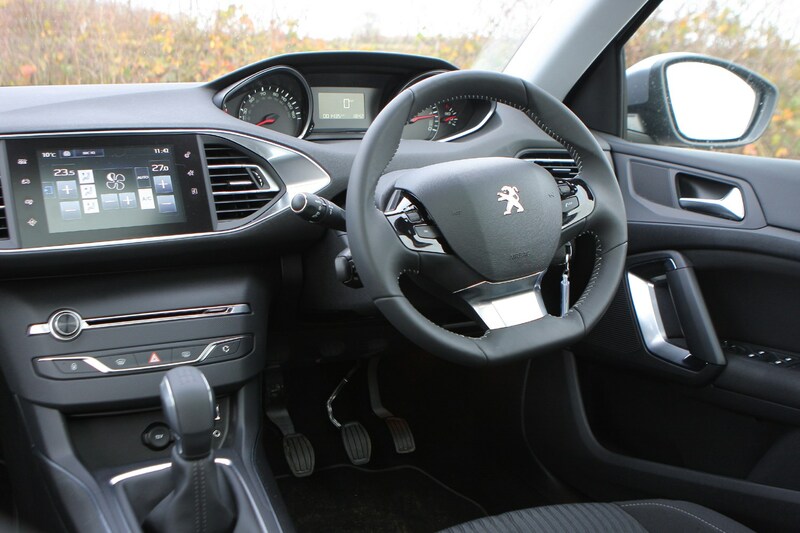 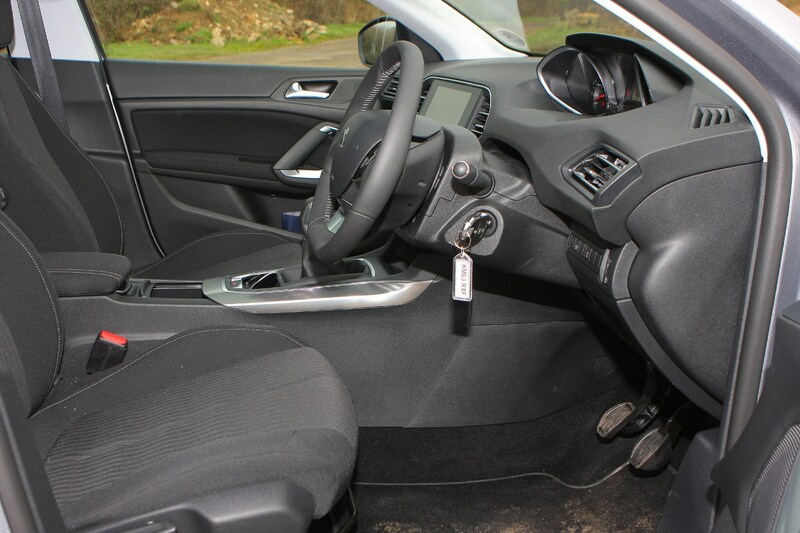 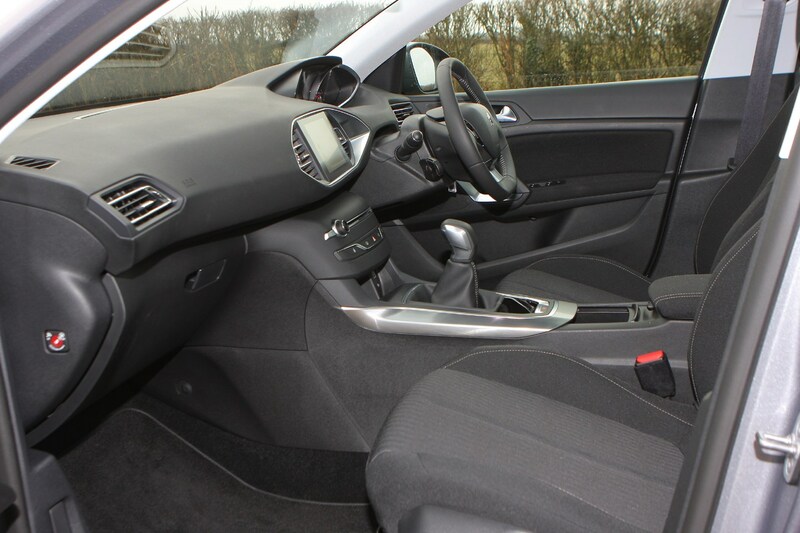 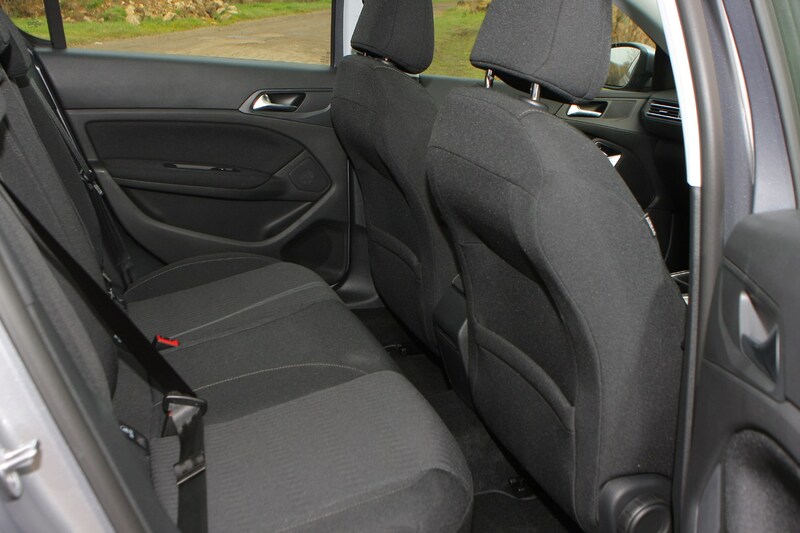 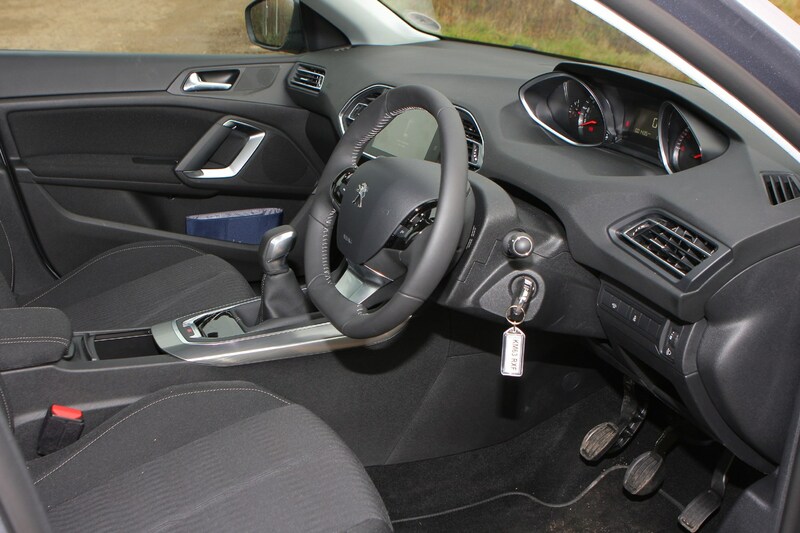 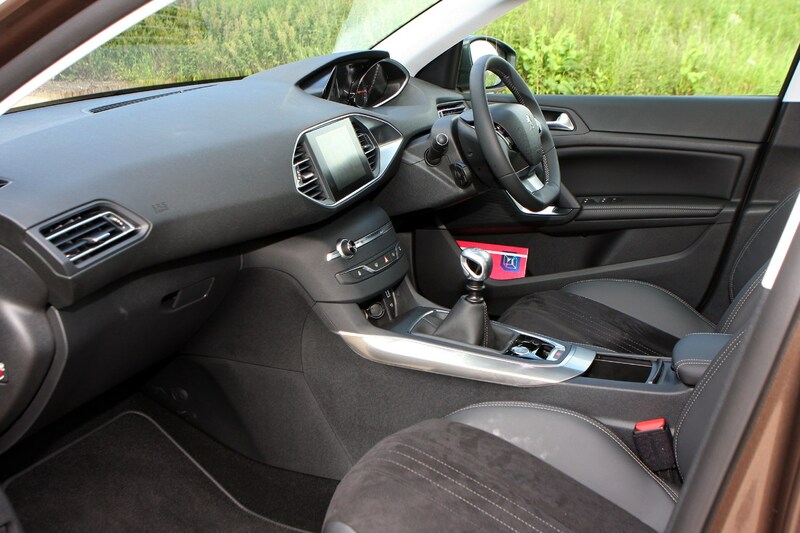 It all looks appealing and most of the materials used inside are pleasant, but the driving position won't suit all because of the dinky steering wheel and the fact it's set quite low. 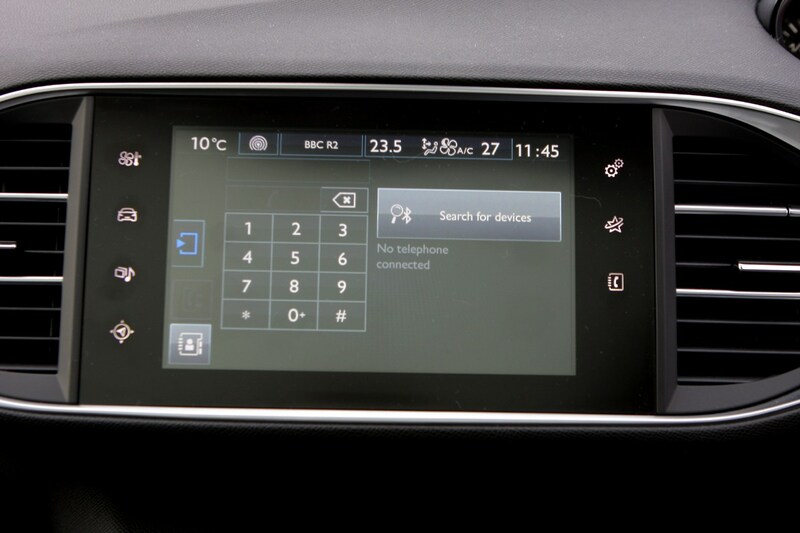 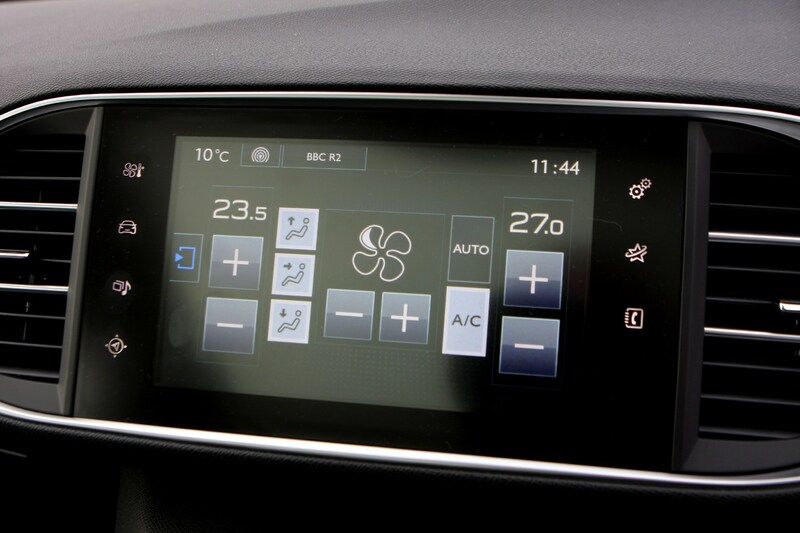 The touchscreen is also not the most responsive to use, and it's the only way of changing things like the temperature inside the car. 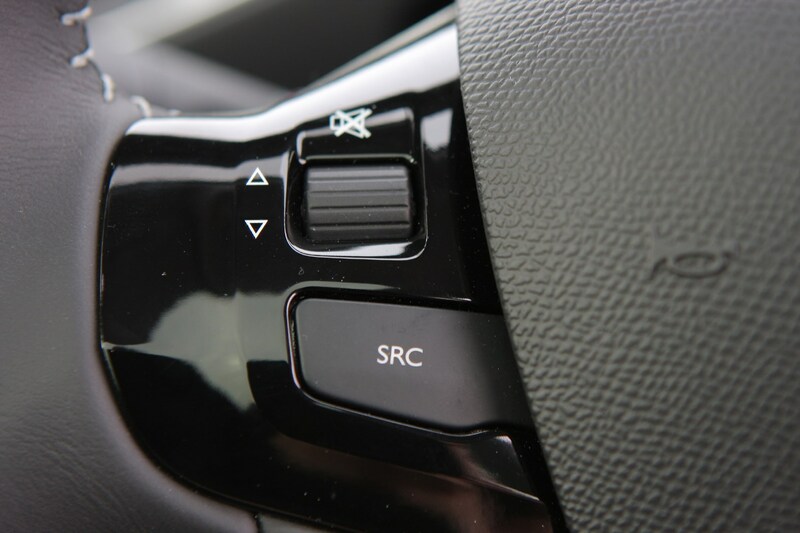 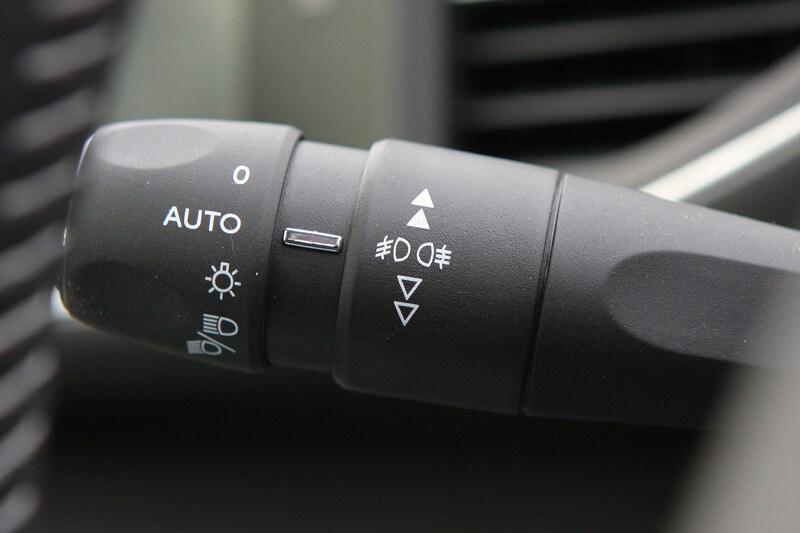 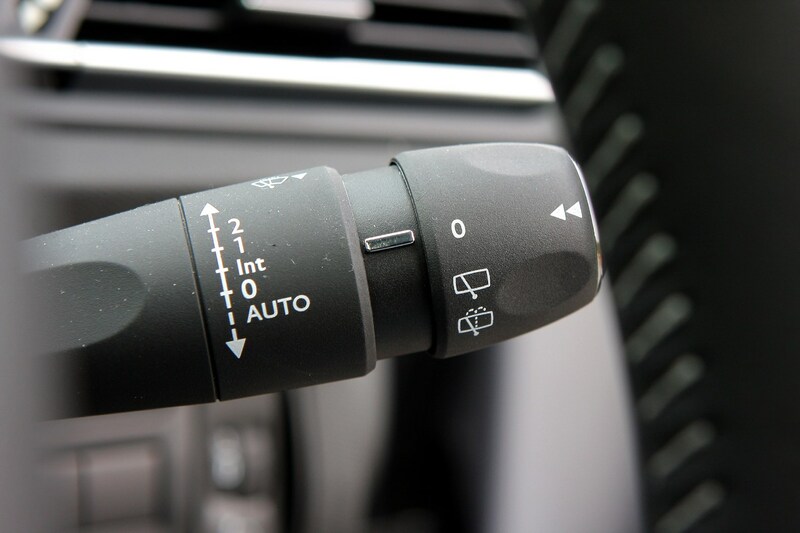 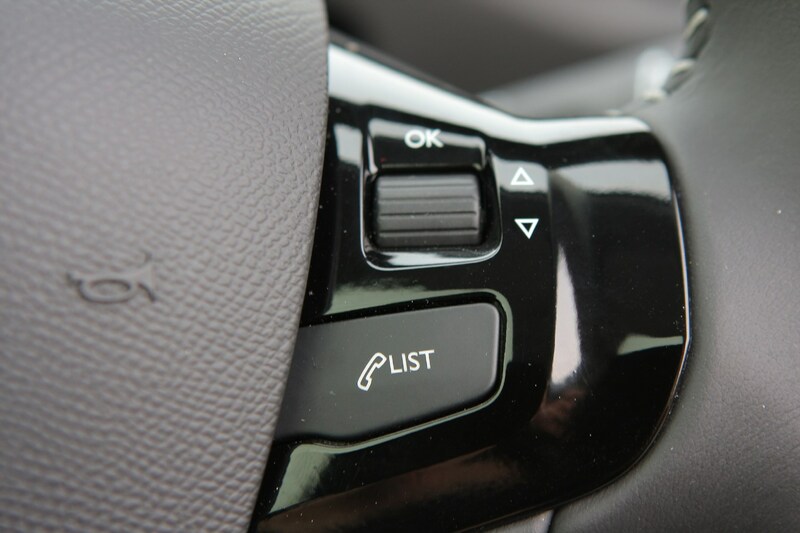 It's frustrating as it can be slow to respond and requires the driver to take their eyes off the road to use it, when a simple dial would have been much more user-friendly. 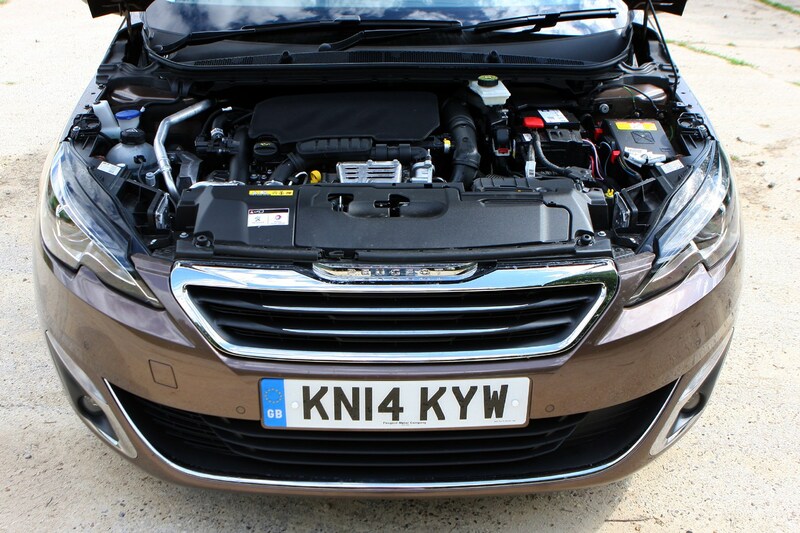 Running costs are kept low thanks to frugal and low-emission diesel and petrol engines, with the 1.2-litre PureTech petrol and 1.5-litre BlueHDi diesels particularly kind to wallets. 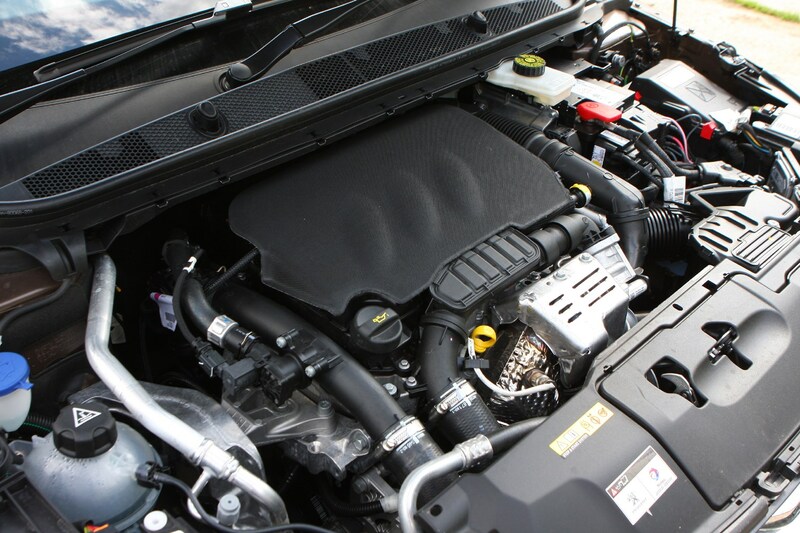 The PureTech line-up consists of 110hp and 130hp versions of the 1.2-litre, while a more powerful 225hp 1.6-litre PureTech is available on GT models along with a 2.0-litre BlueHDi 160. 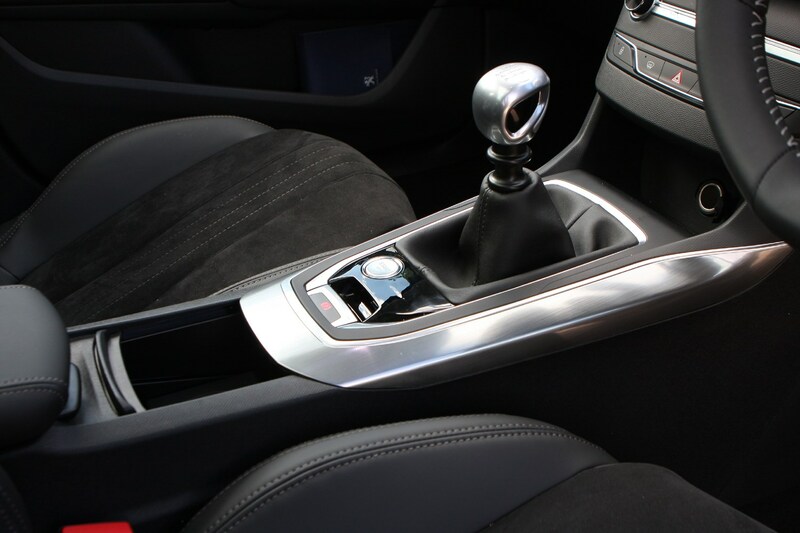 Both come with an eight-speed EAT8 automatic. 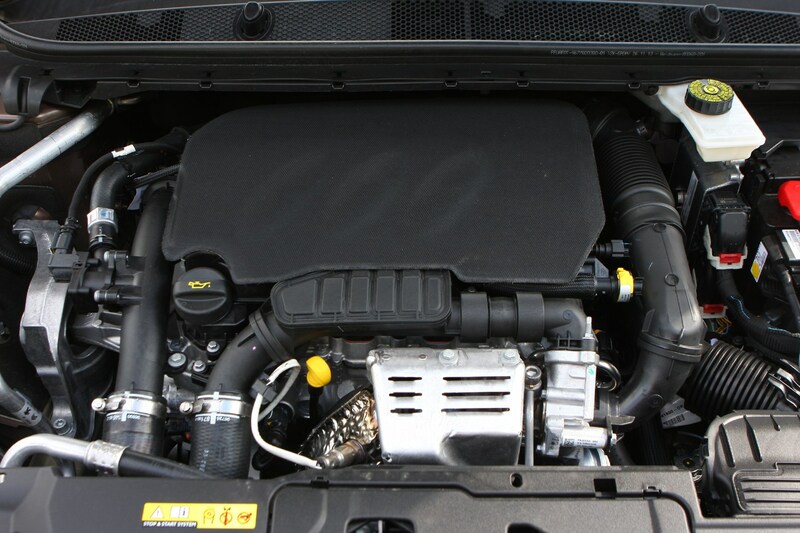 The rest of the diesel range is made up of 100hp and 130hp versions of the 1.5-litre BlueHDi. 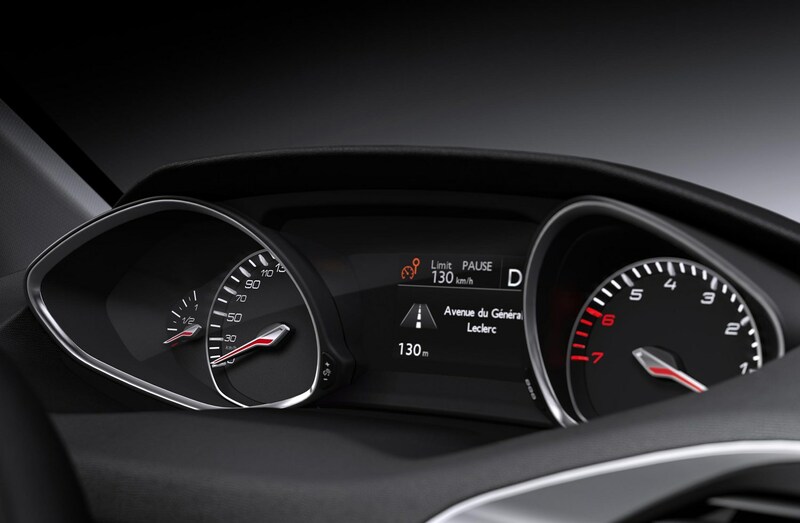 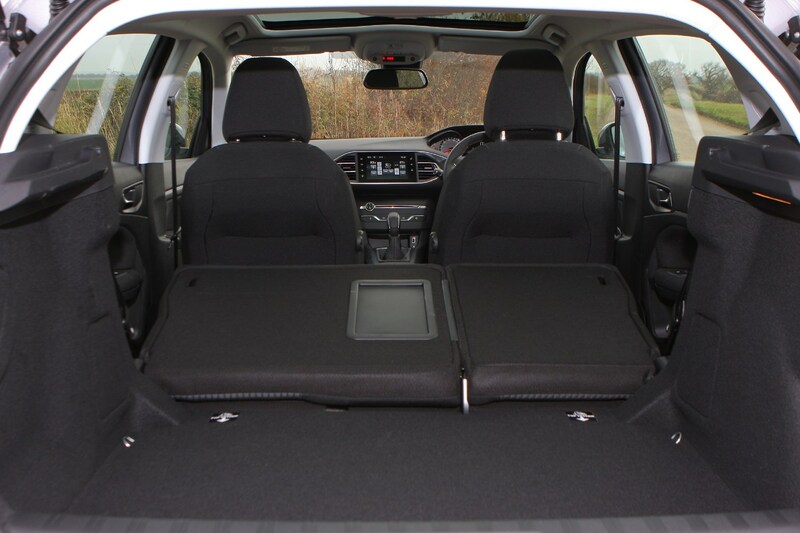 The range includes five trim levels: Active, Tech Edition Allure, GT Line (replacing the earlier Feline), GT and GTi. 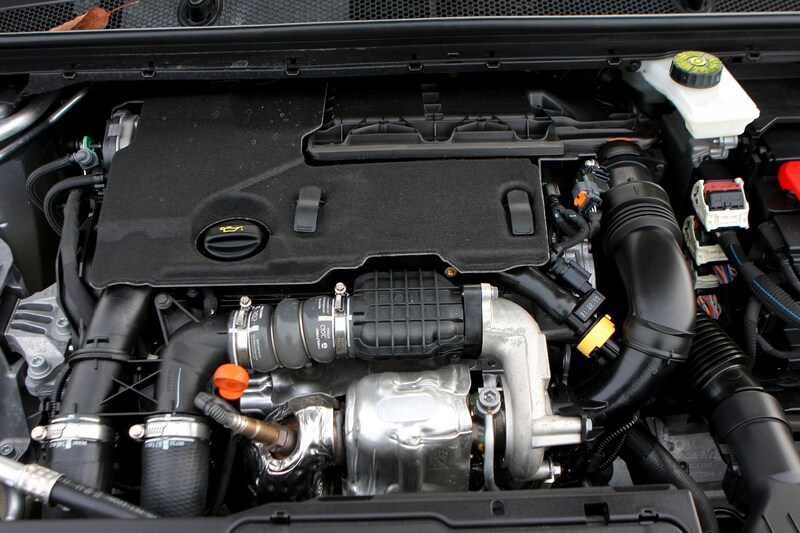 The GTi has been available in several power outputs during its life - starting off with 250hp and 270hp versions, whereas now it comes with 260hp from its 1.6-litre turbocharged petrol engine. 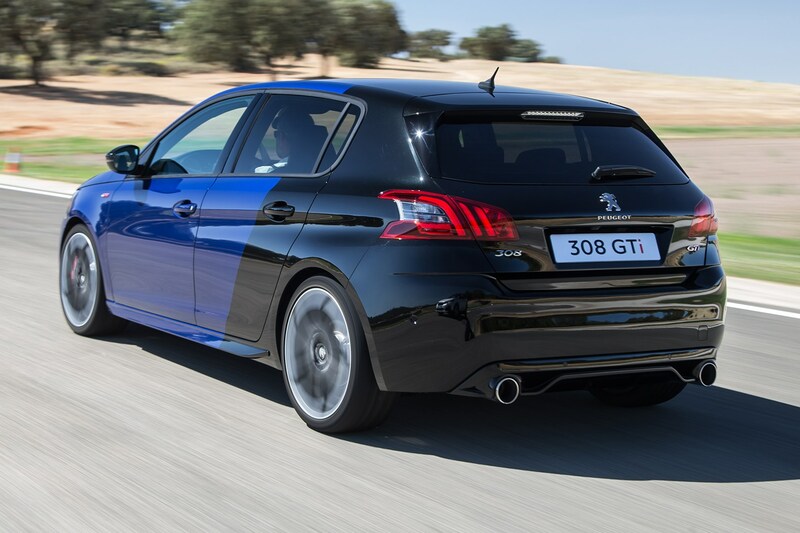 The French manufacturer is back in business when it comes to hot hatches – not only is the smaller 208 GTi a well-regarded small hot hatchback, the larger 308 GTi impresses too. 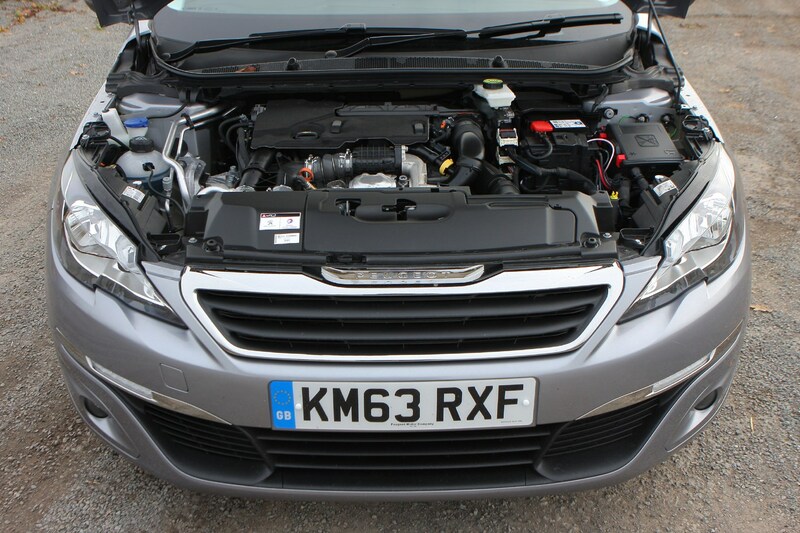 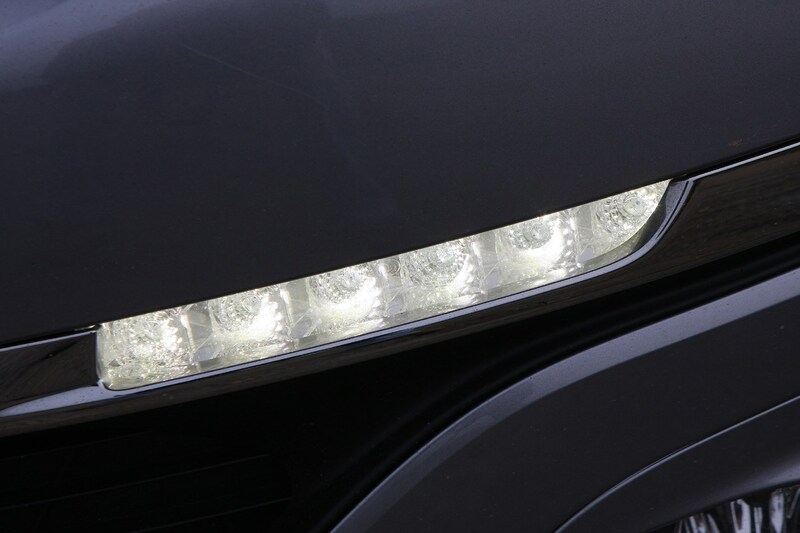 It was given a tweak in 2017, receiving a new bonnet, grille and headlights, but the mechanicals remain unchanged. 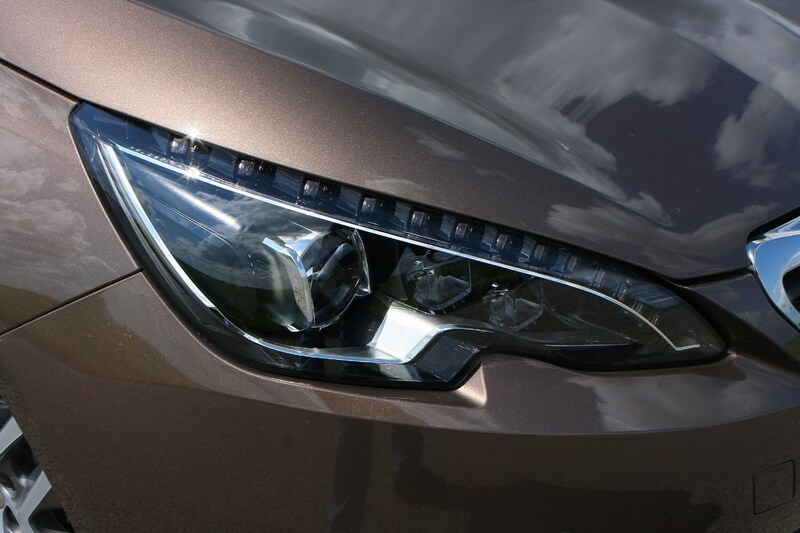 Which is no bad thing. 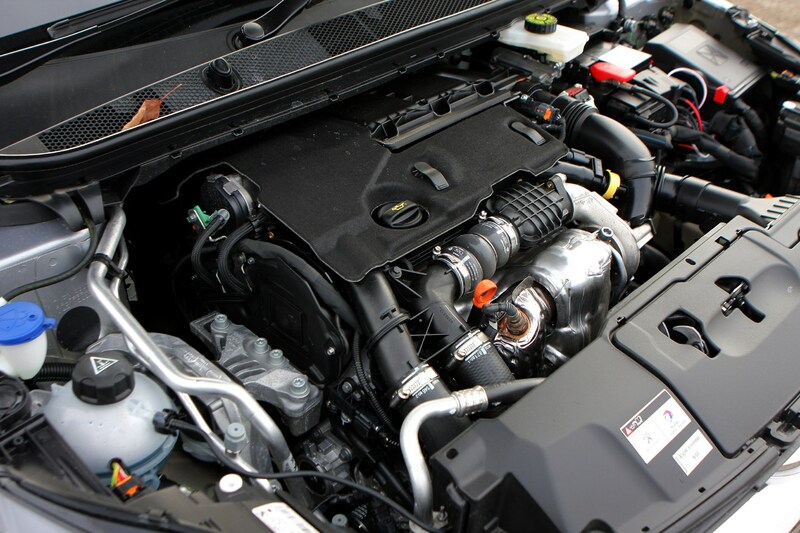 It comes with a punchy 260hp engine – the 250hp version initially sold alongside it was dropped in 2017 – as well as better brakes and a mechanical limited-slip differential to help meter out that power hike. 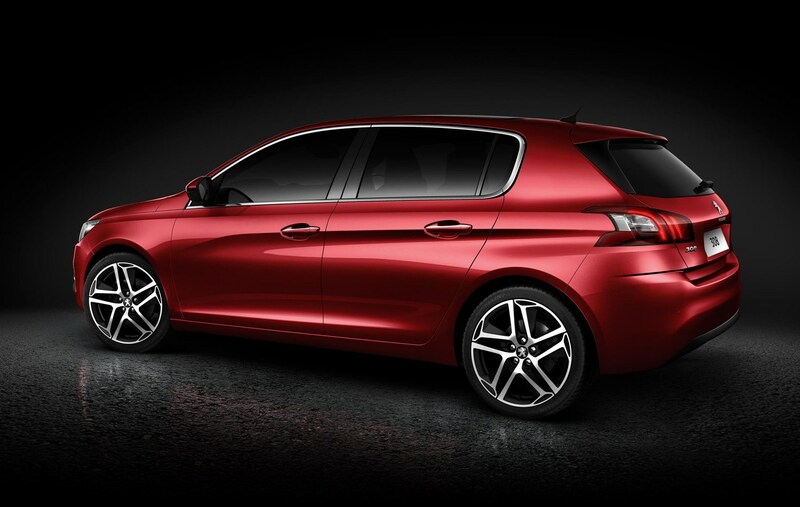 Externally the 308 GTi benefits from subtle styling cues rather than an outlandish bodykit and a touring car-spec spoiler, so you can enjoy all that performance with a grown-up image. 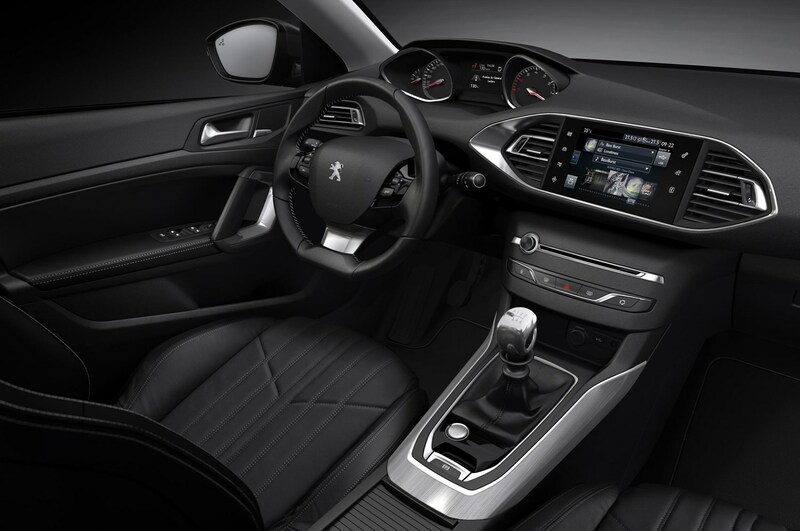 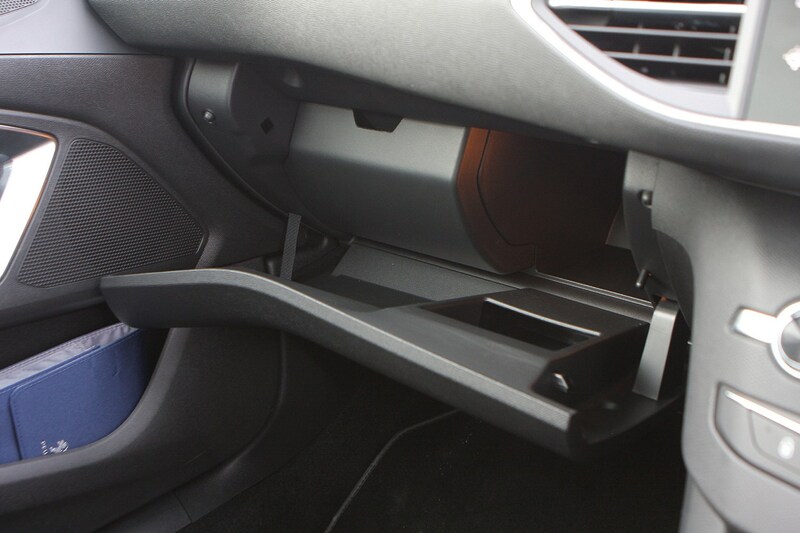 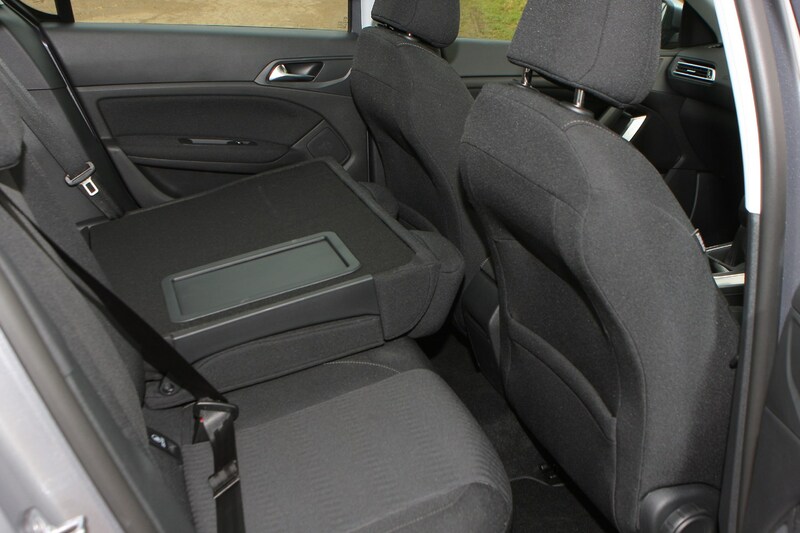 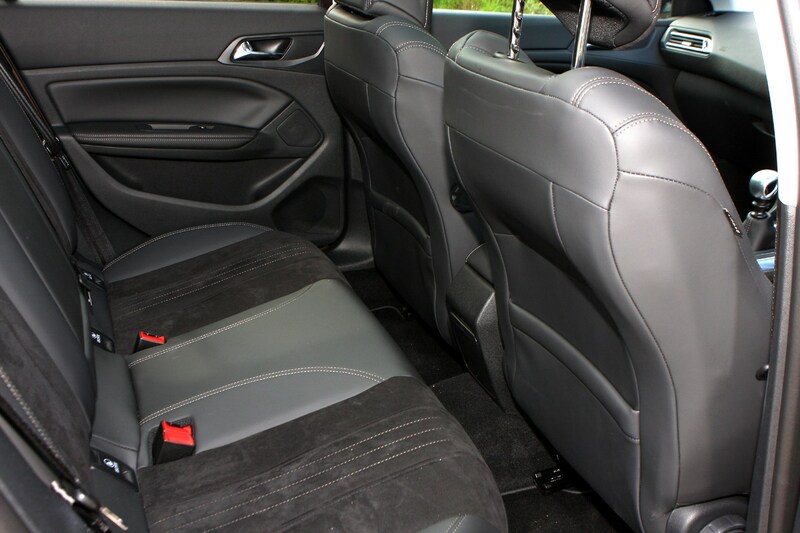 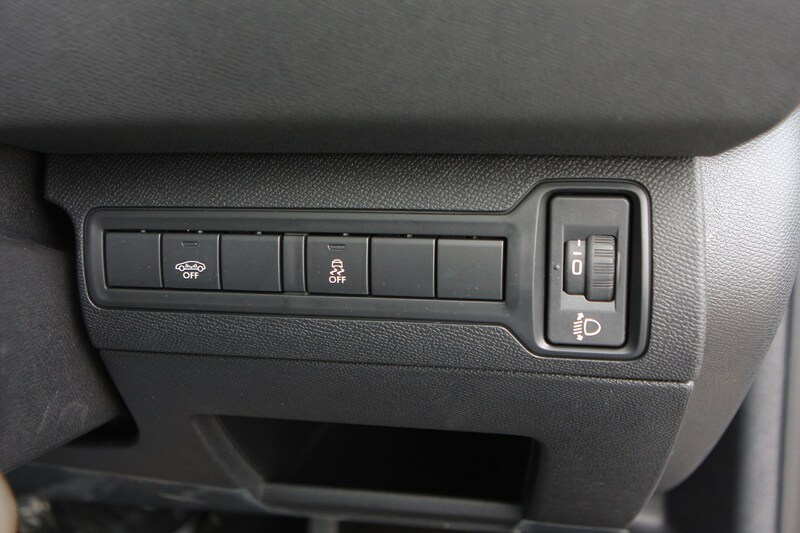 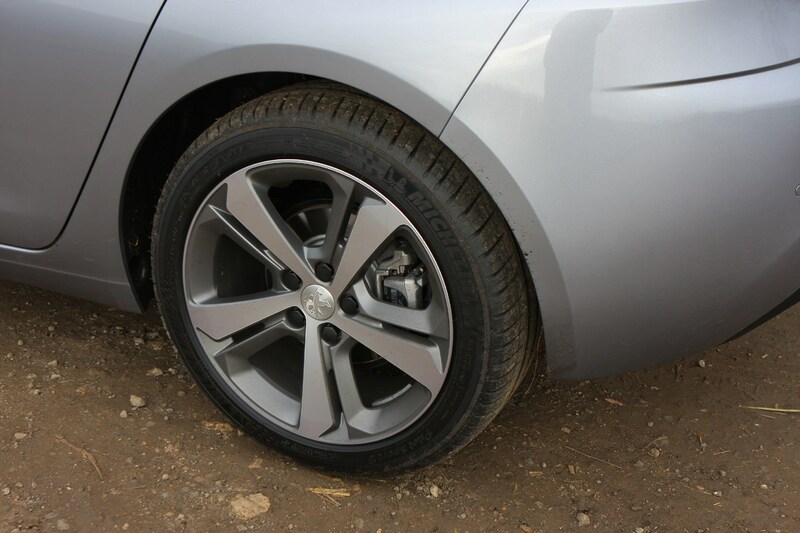 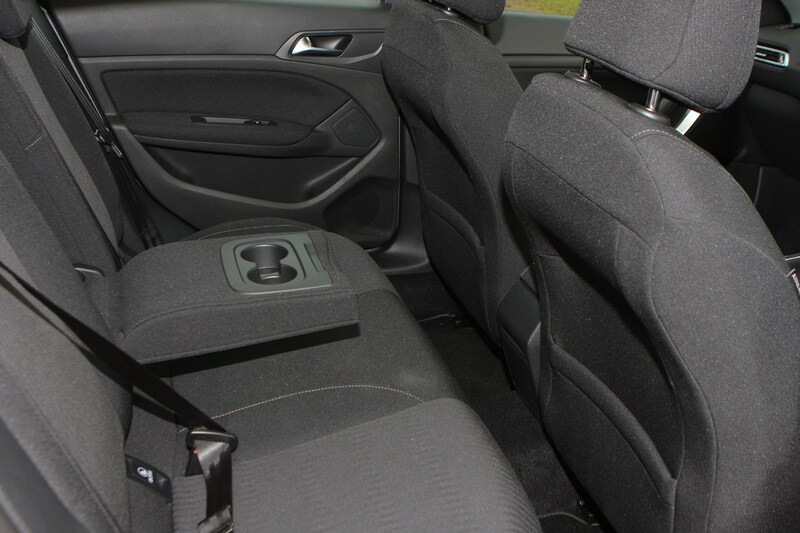 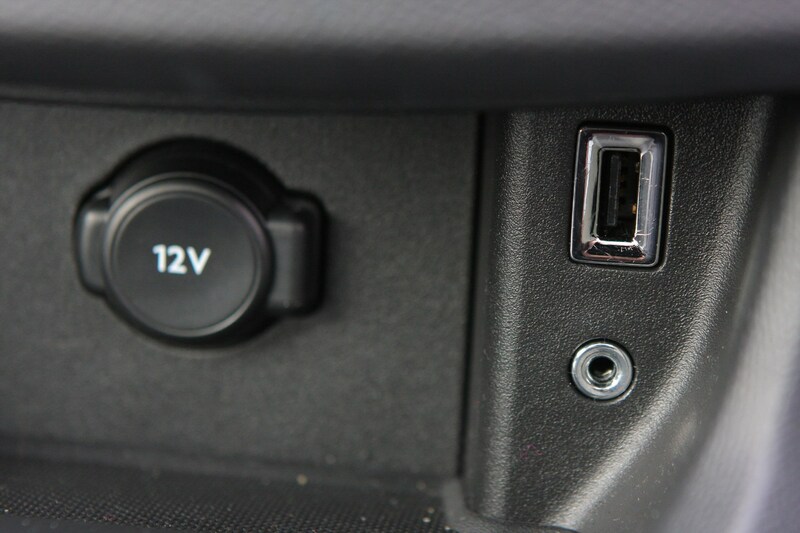 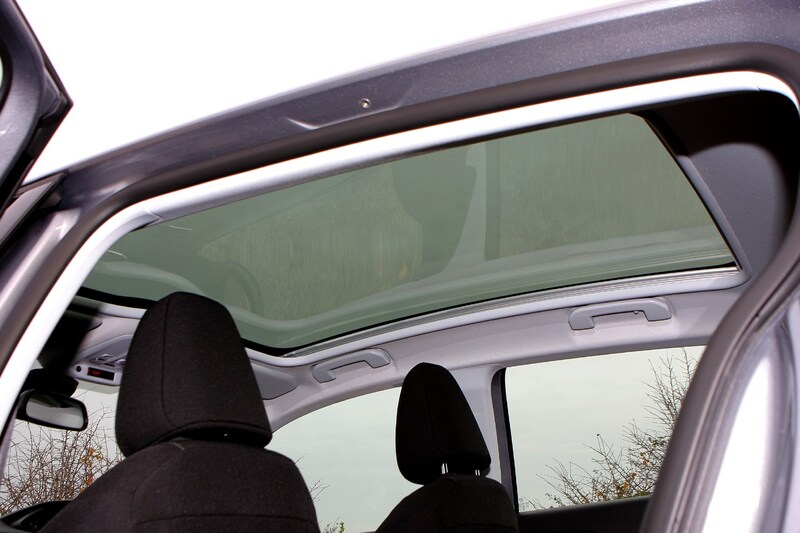 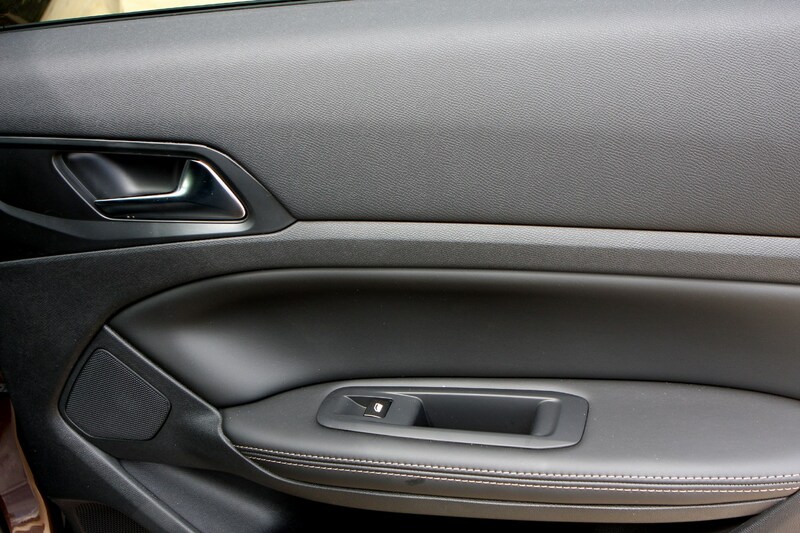 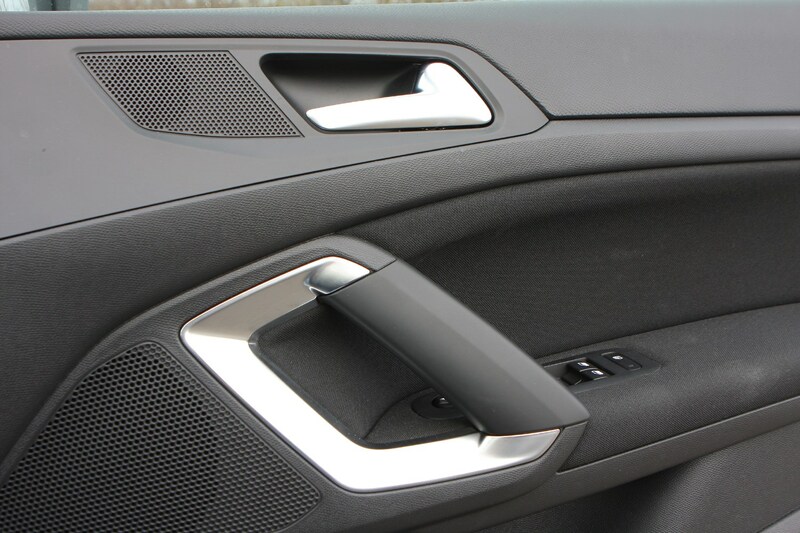 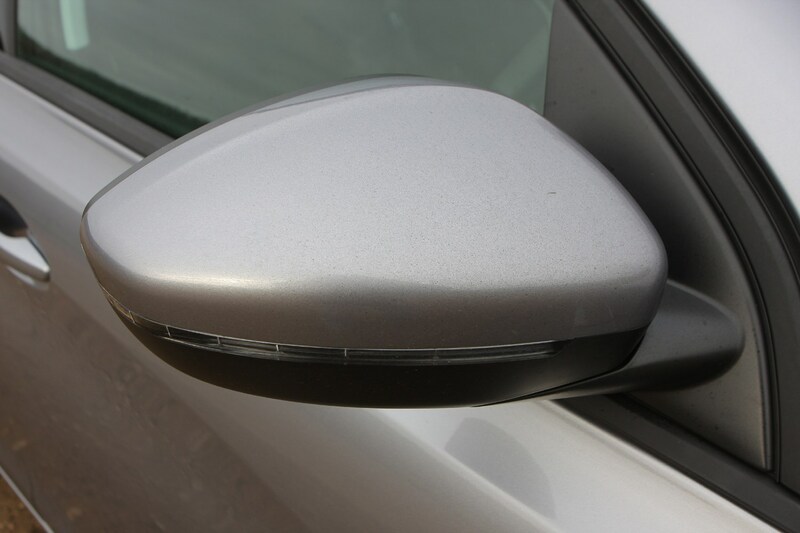 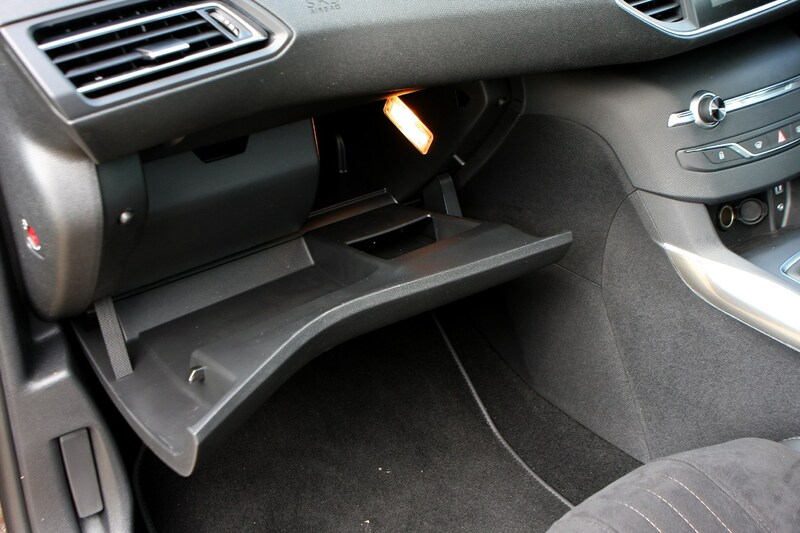 The 308 also features a minimalist interior with very few buttons. 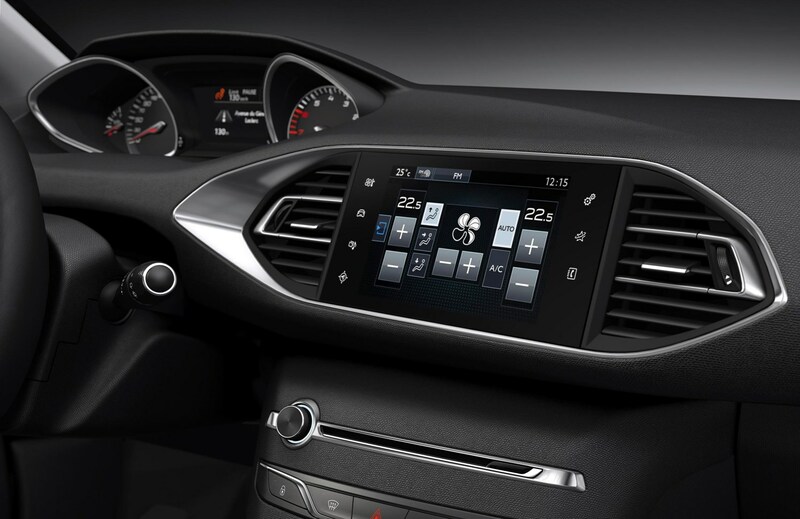 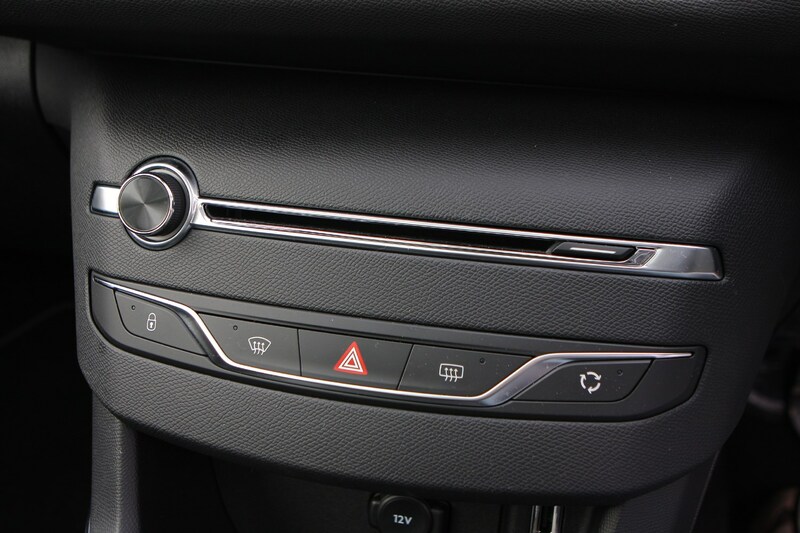 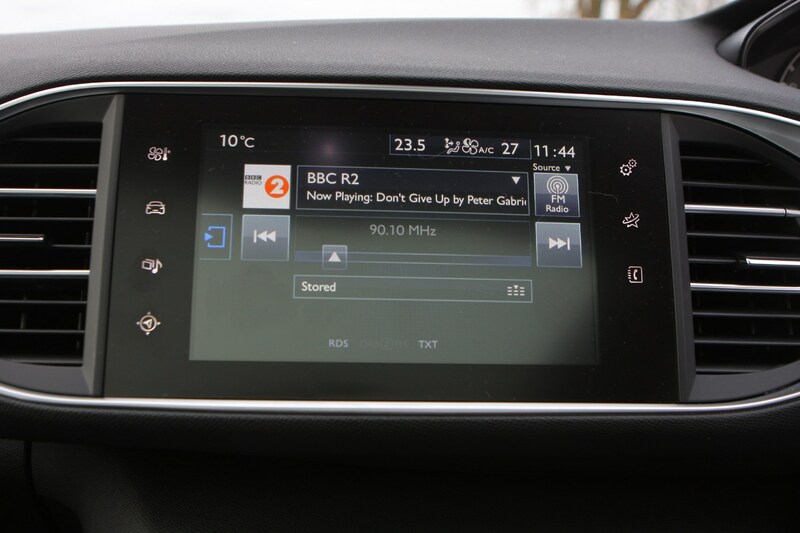 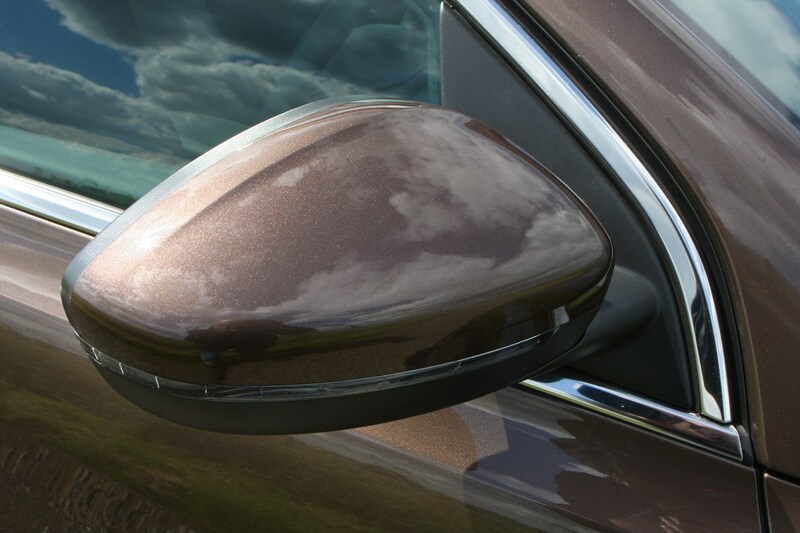 Instead, a central 9.7-inch touchscreen accesses all the car’s major functions such as climate control, sat-nav and audio, leaving a much cleaner and uncluttered central dash. 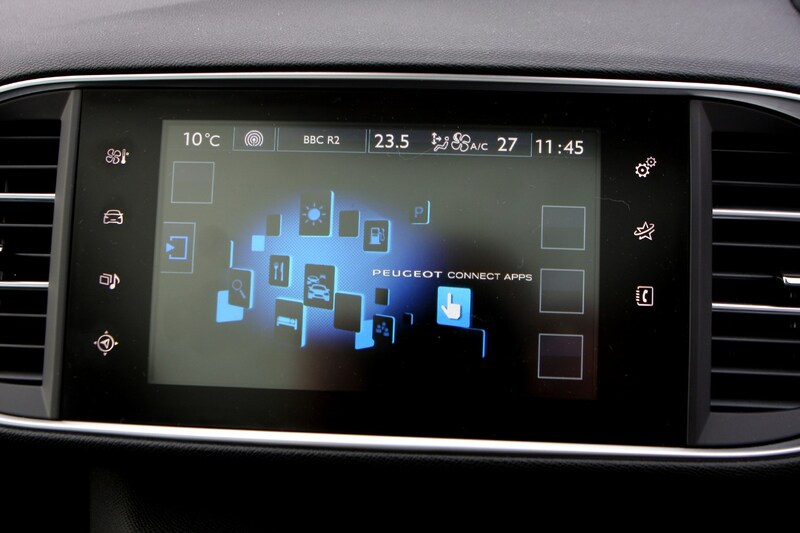 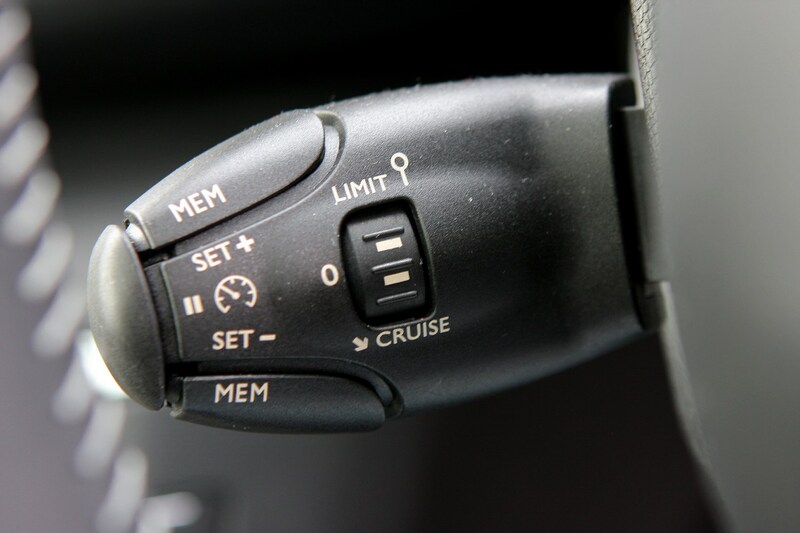 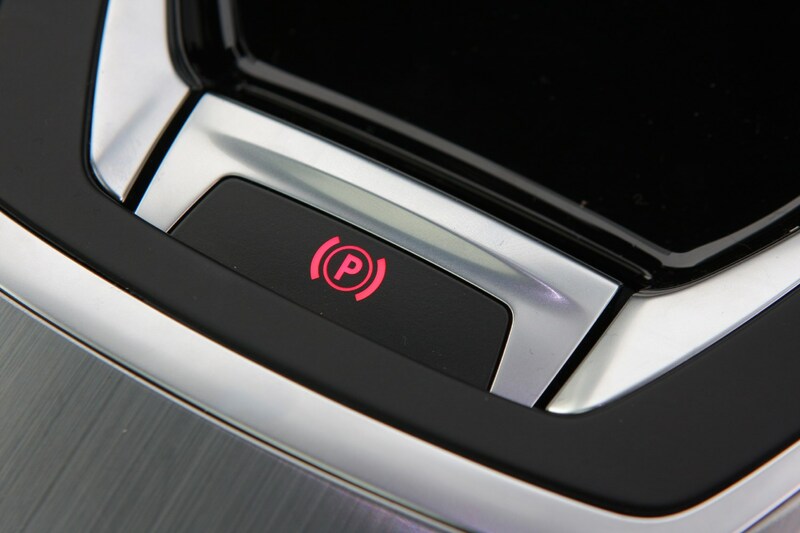 Updates in 2017 brought standard smartphone connectivity with Android Auto, Apple CarPlay and MirrorLink, as well as improvements in its responsiveness. 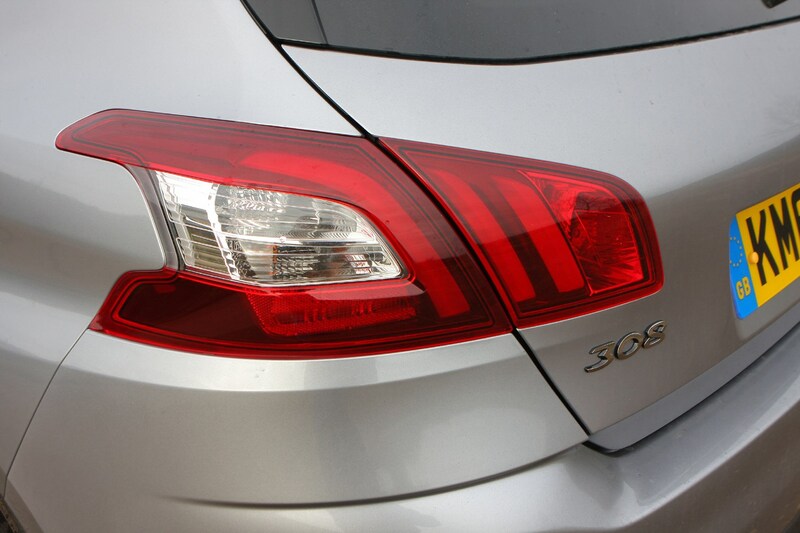 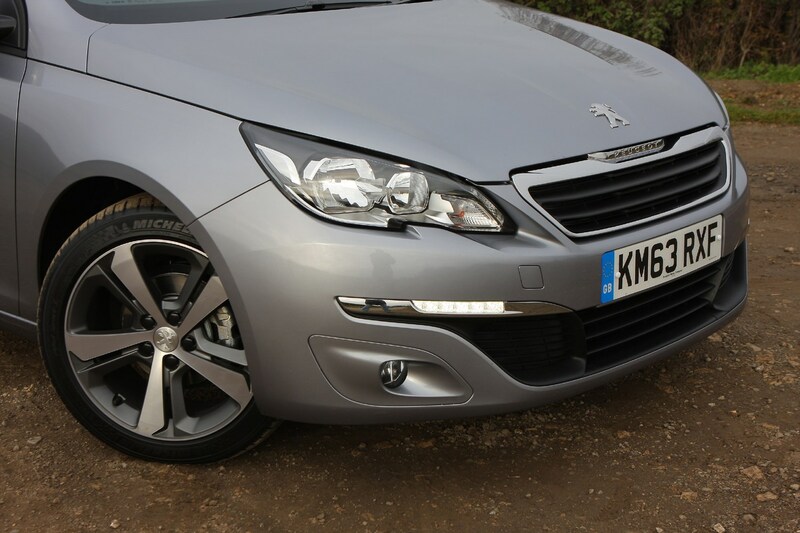 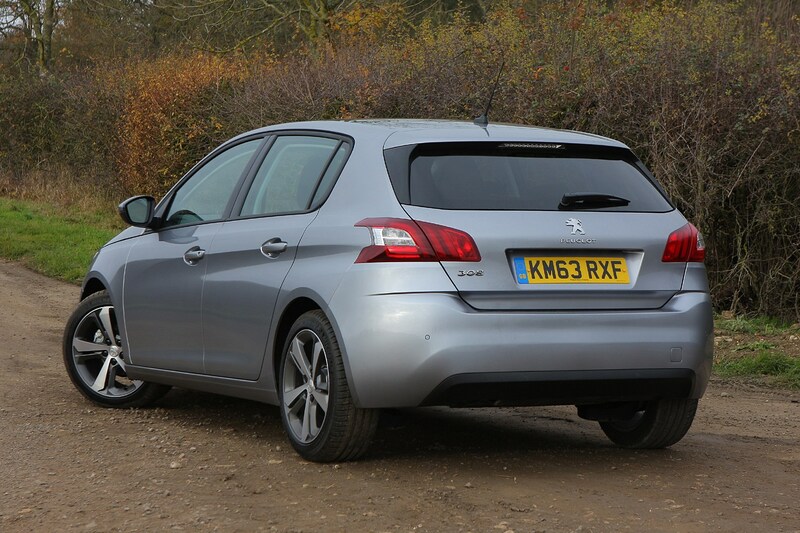 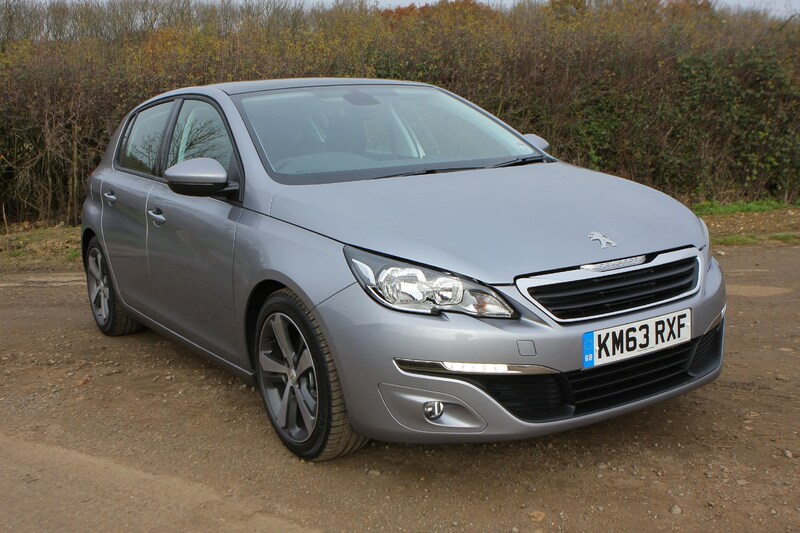 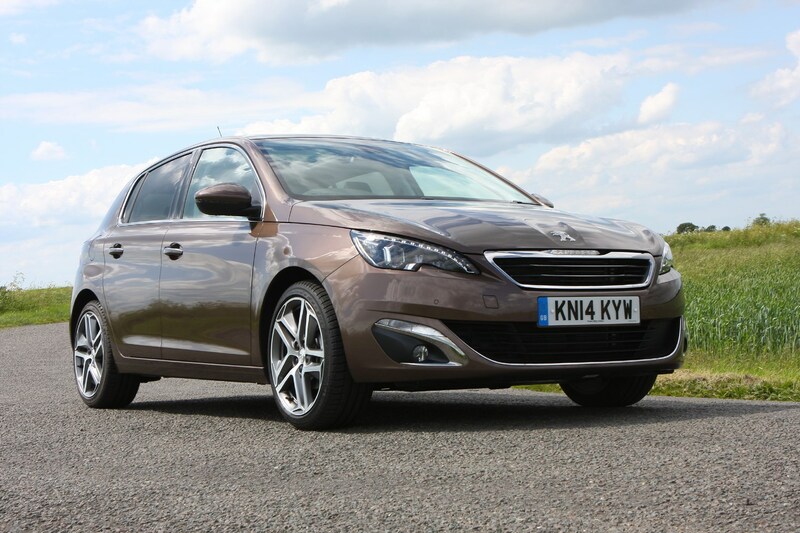 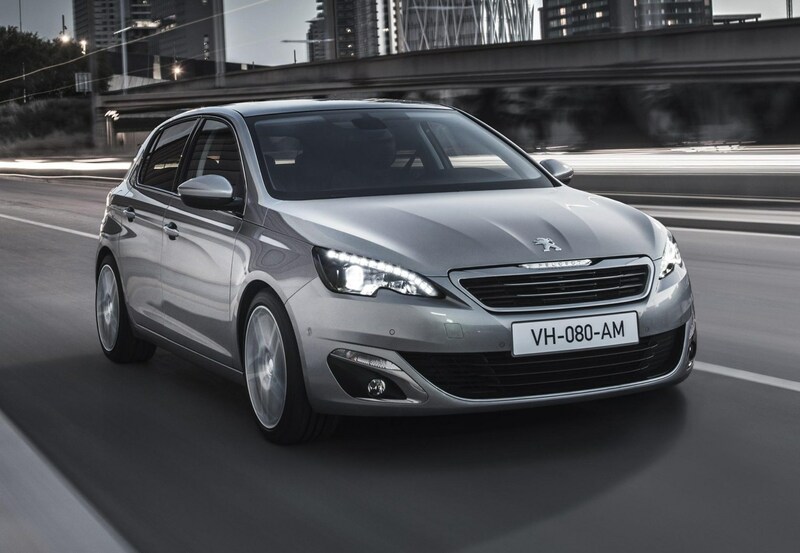 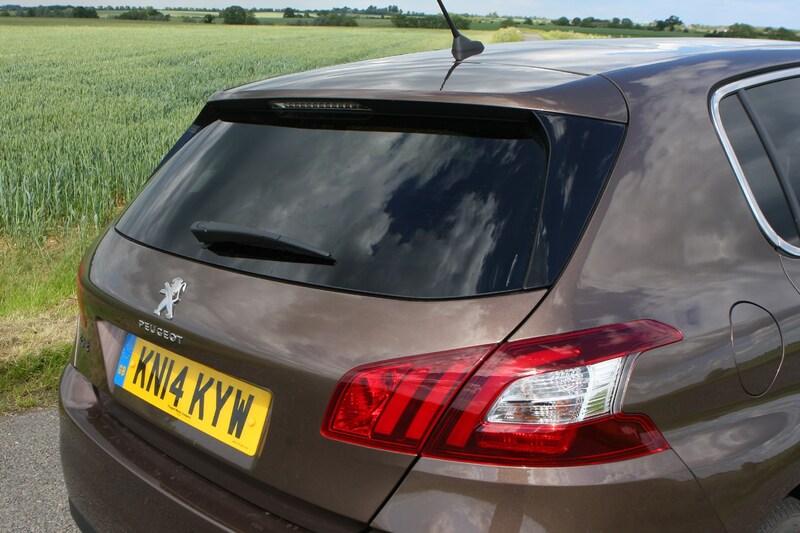 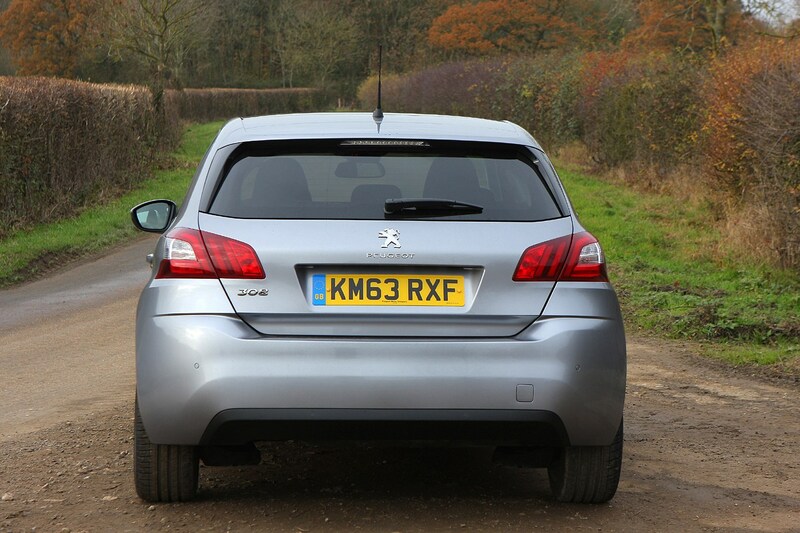 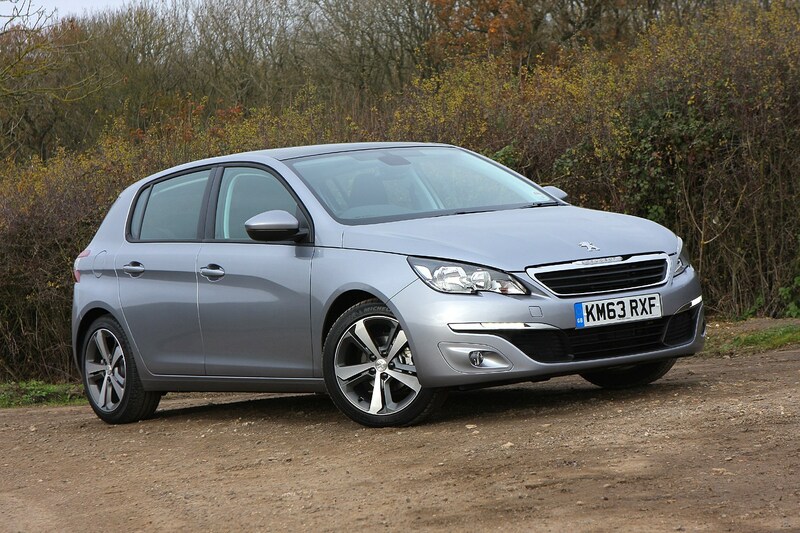 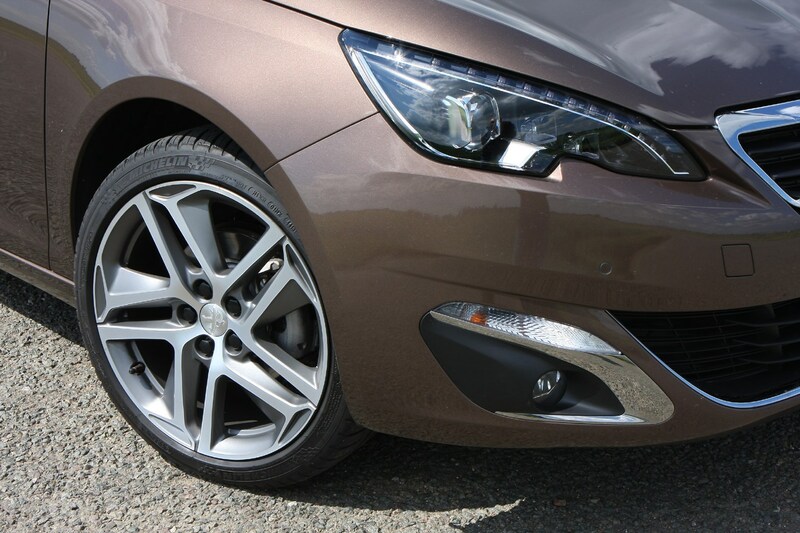 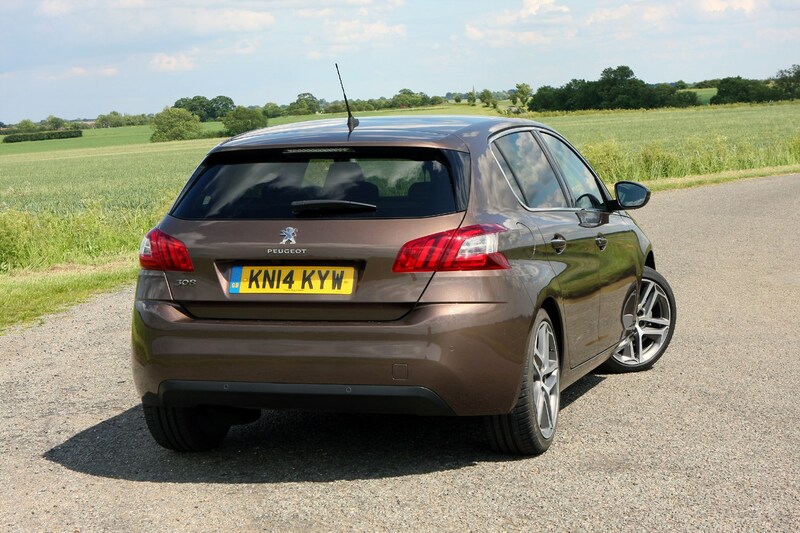 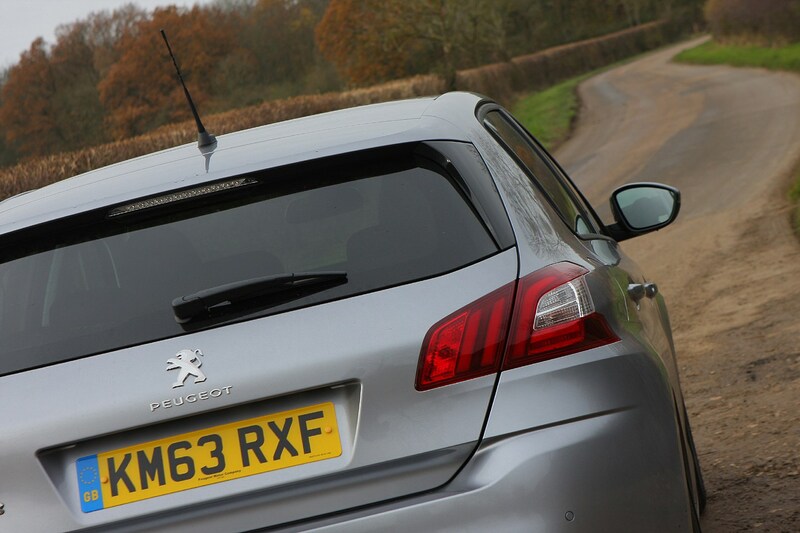 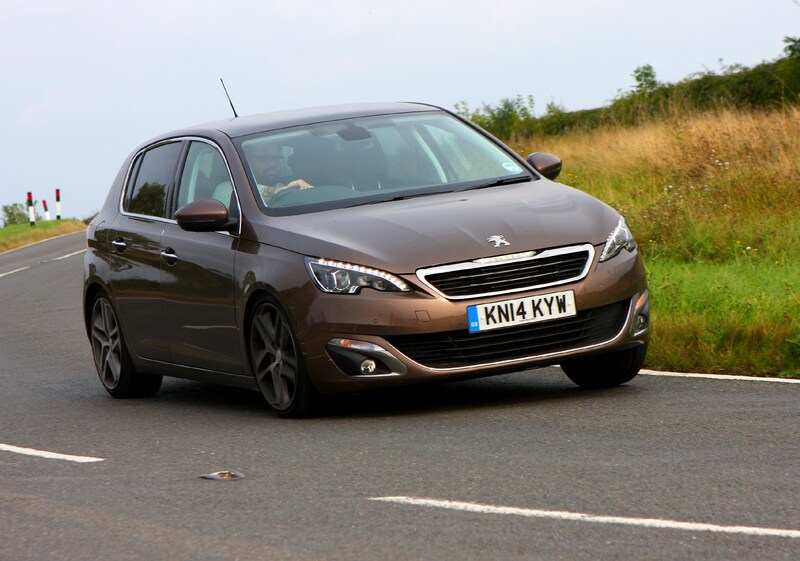 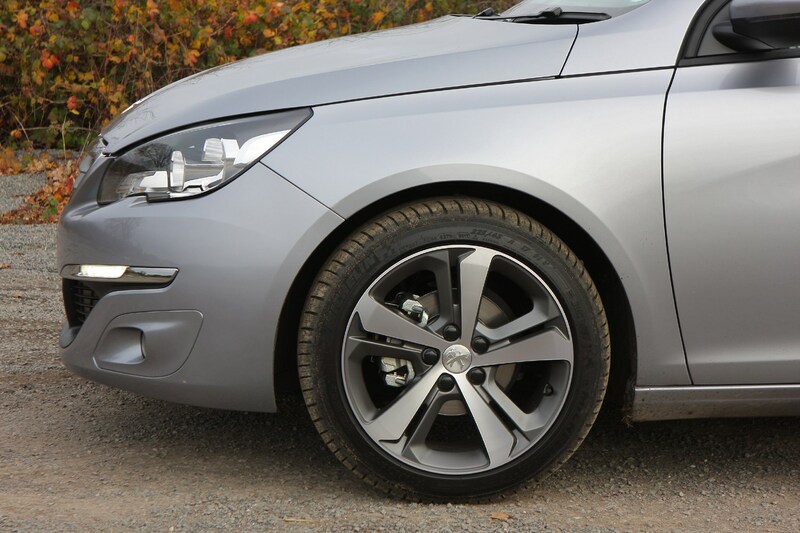 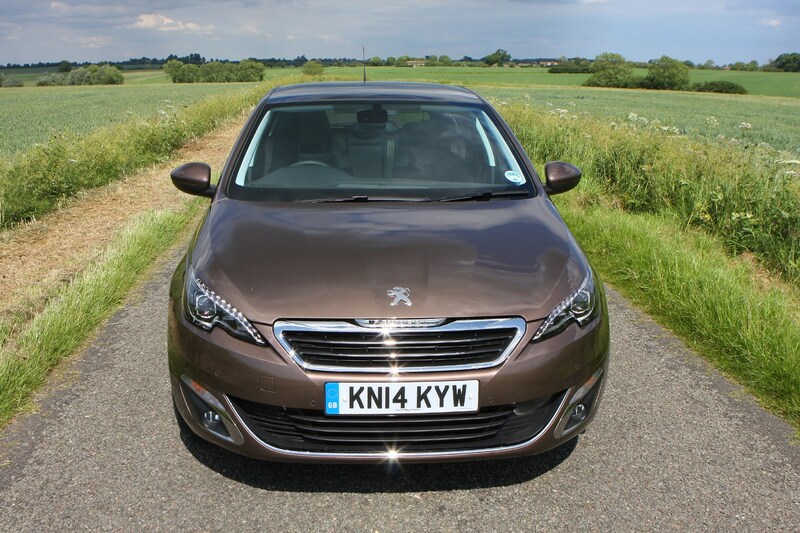 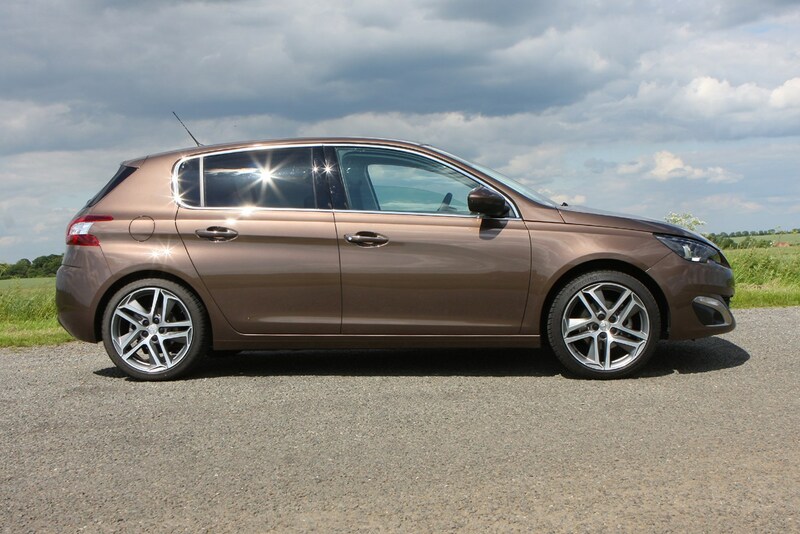 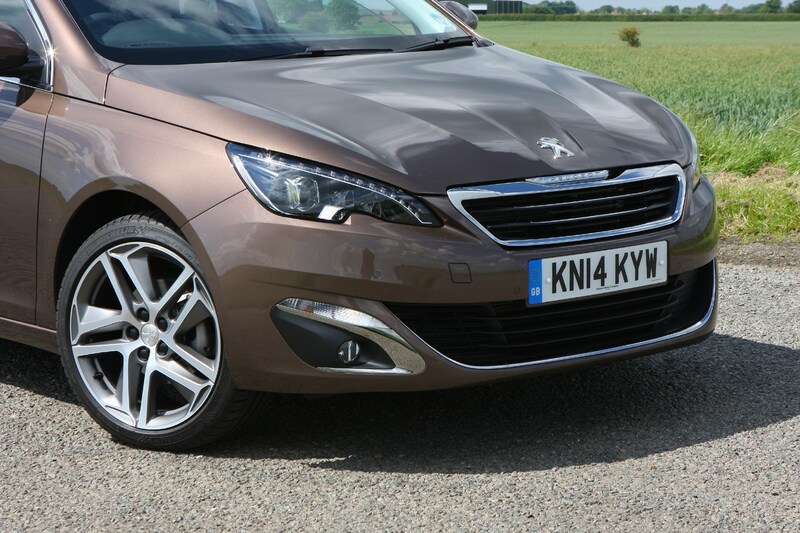 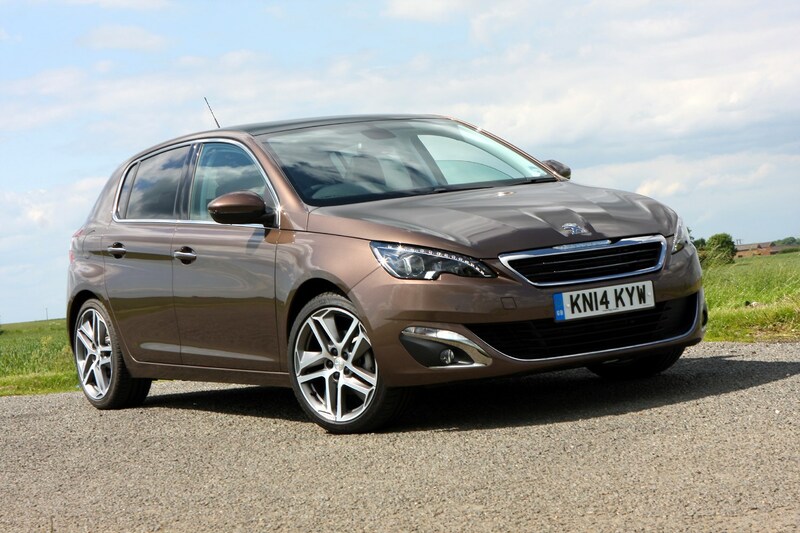 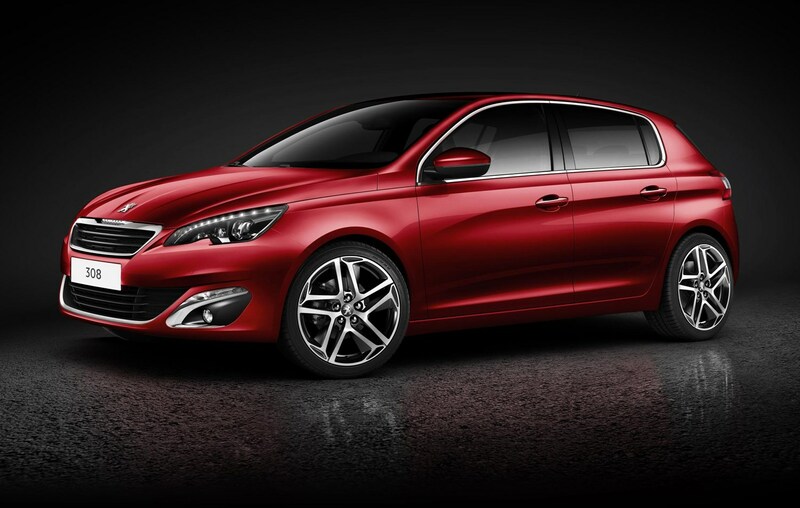 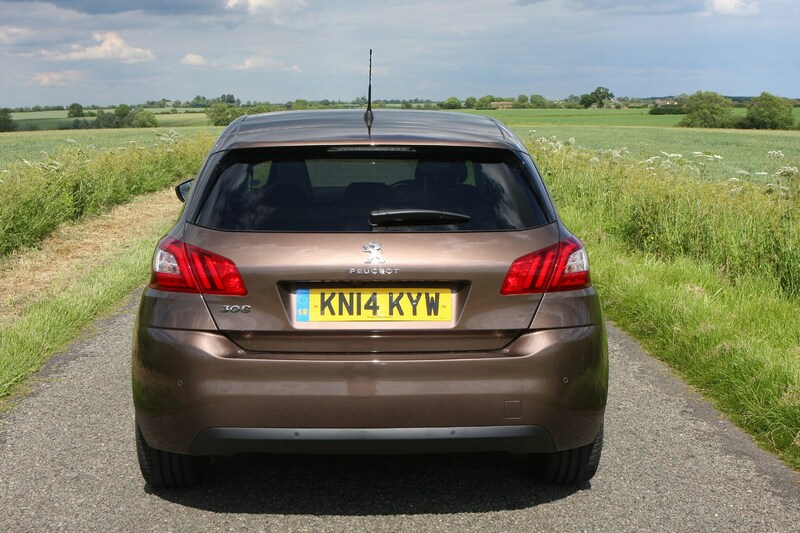 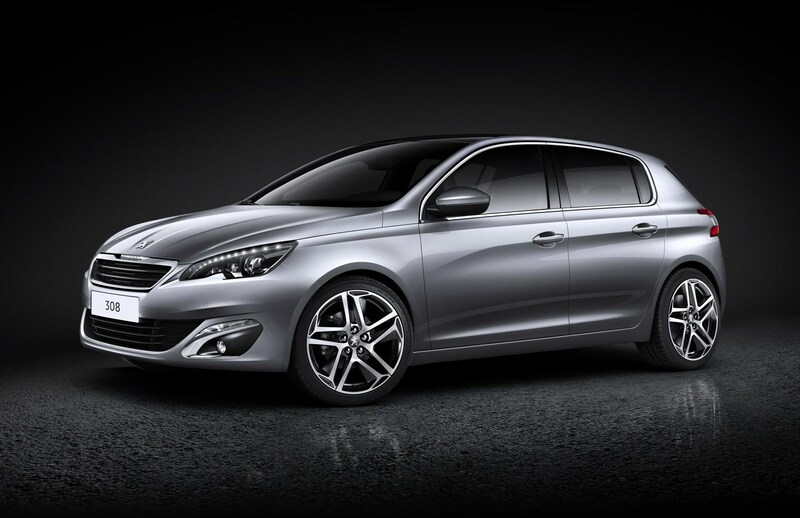 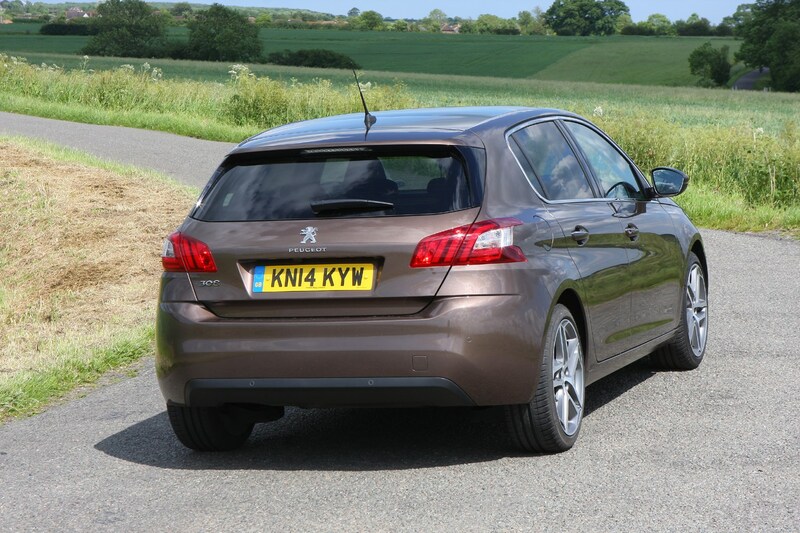 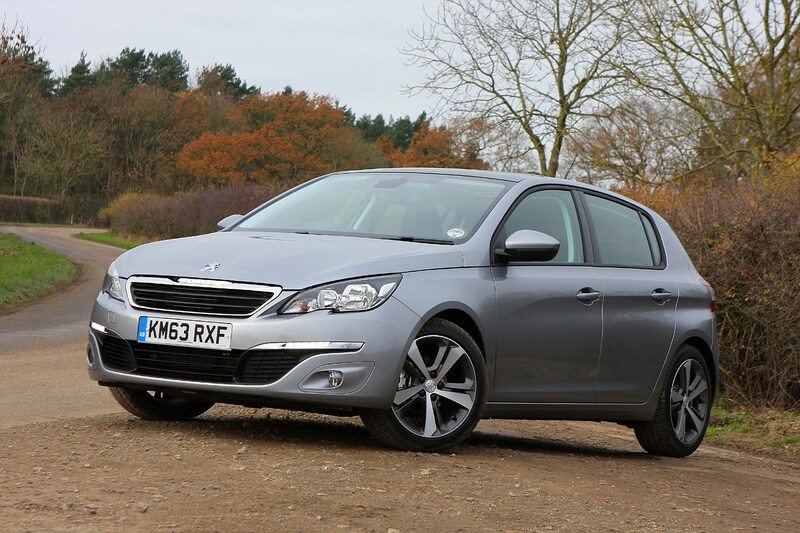 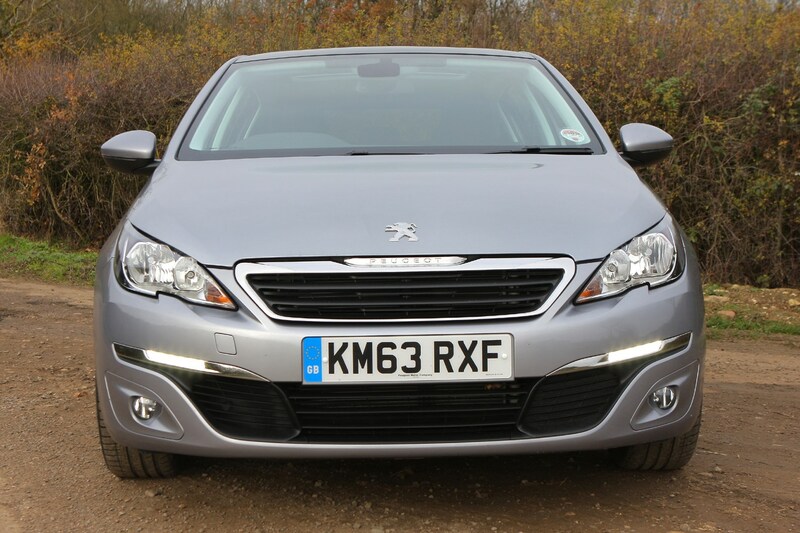 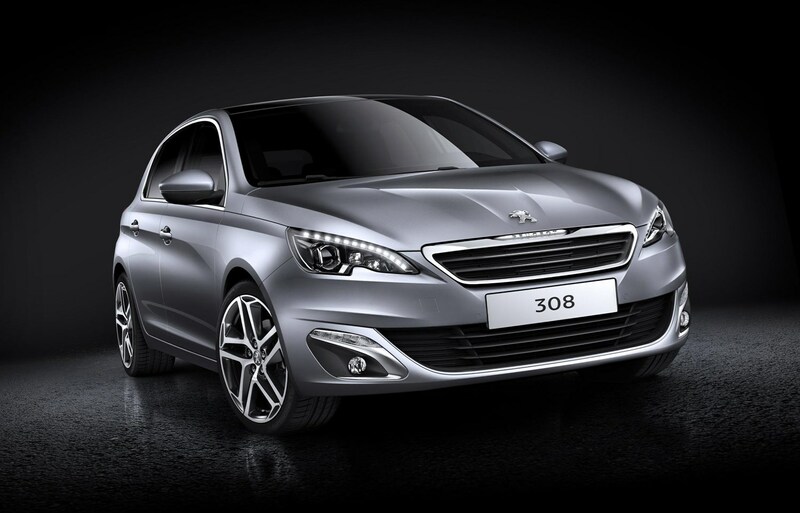 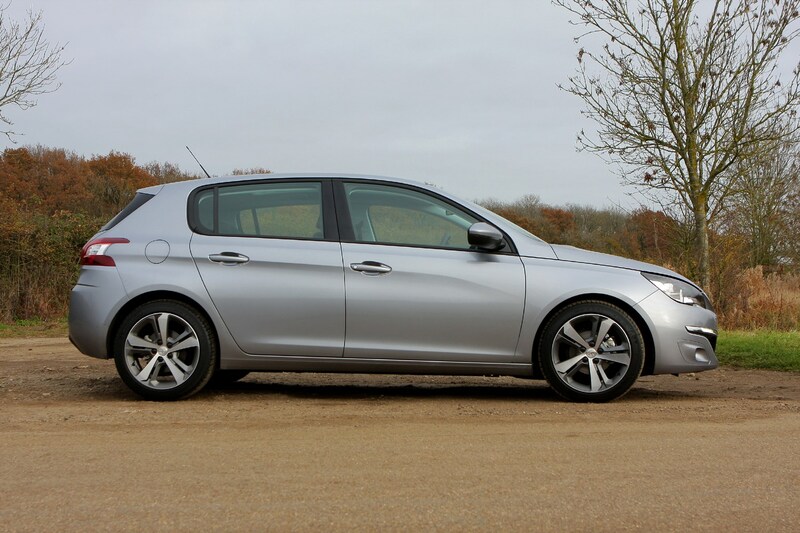 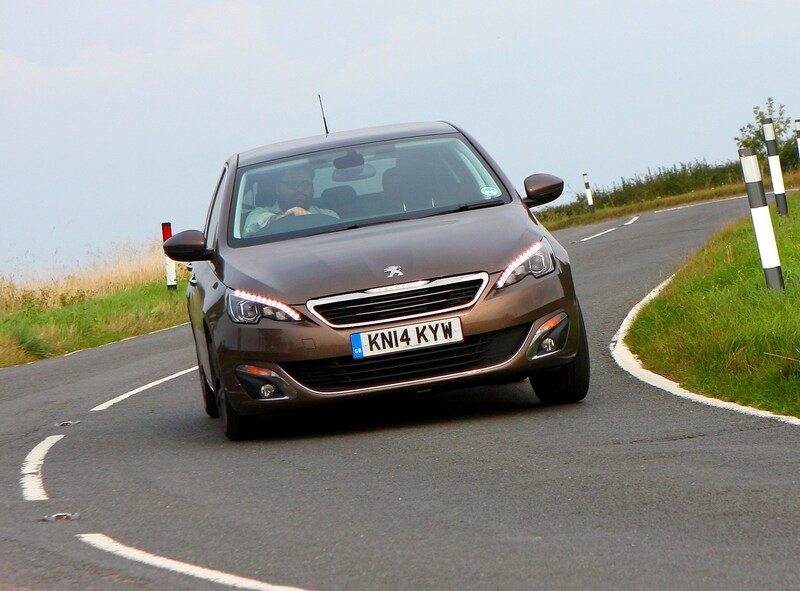 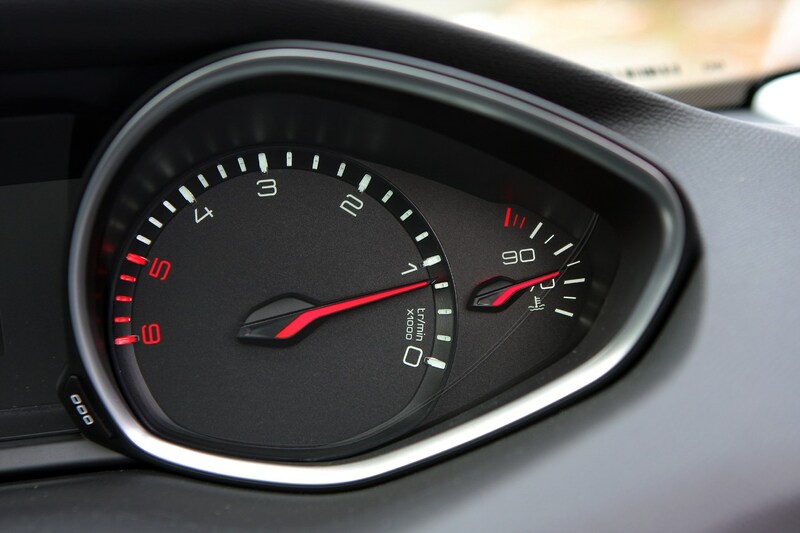 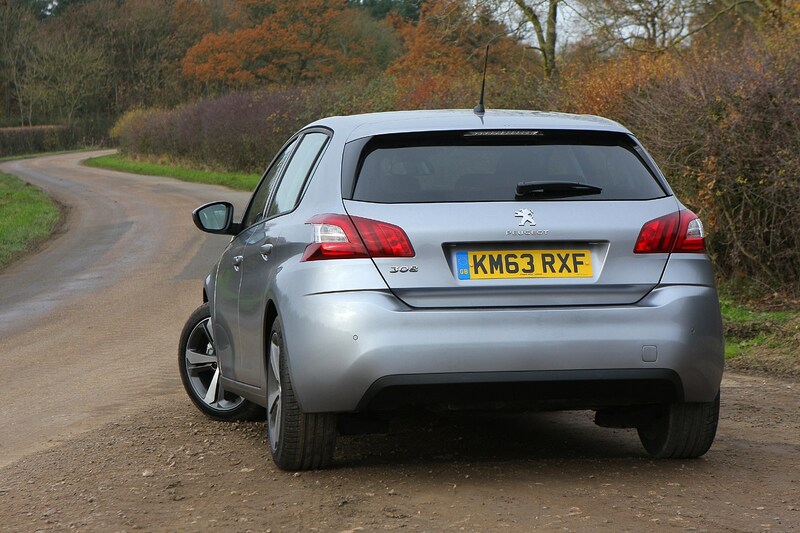 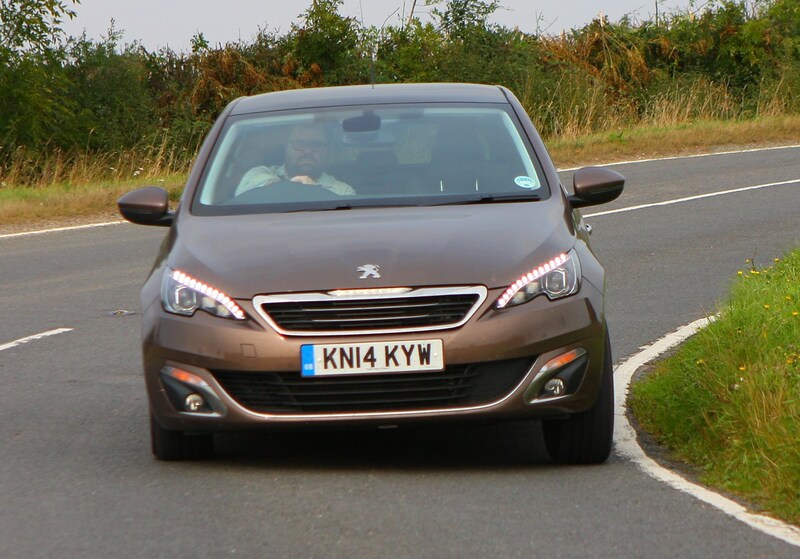 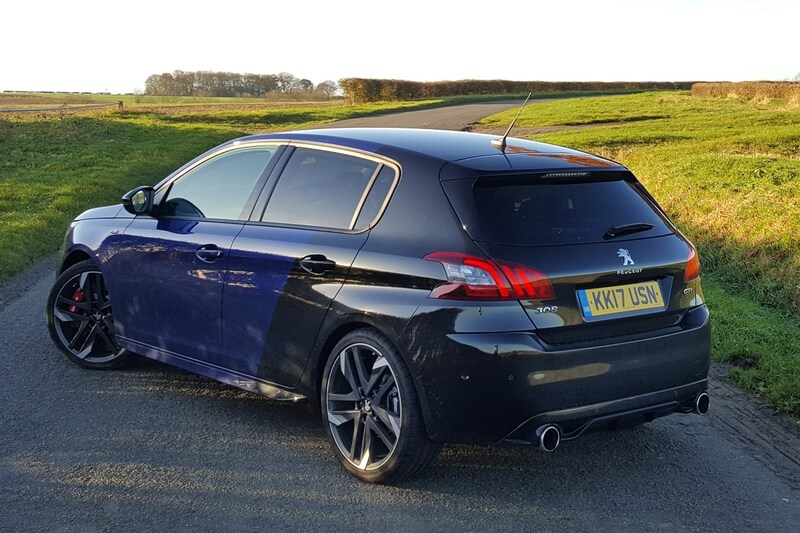 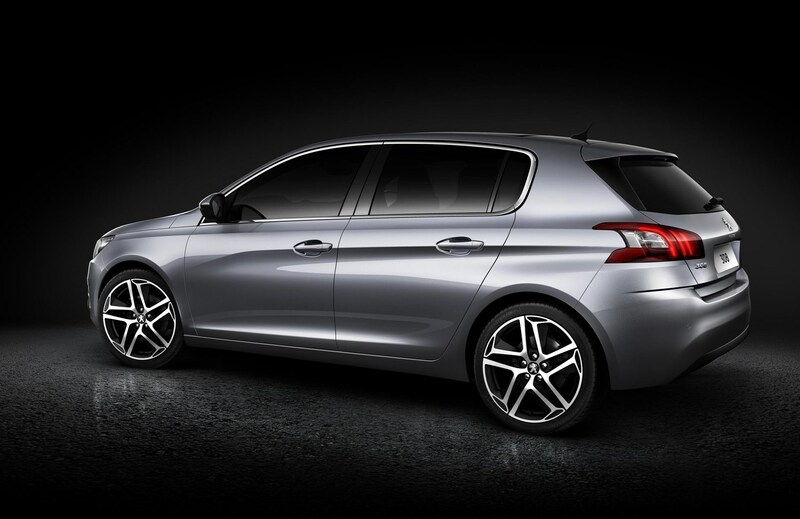 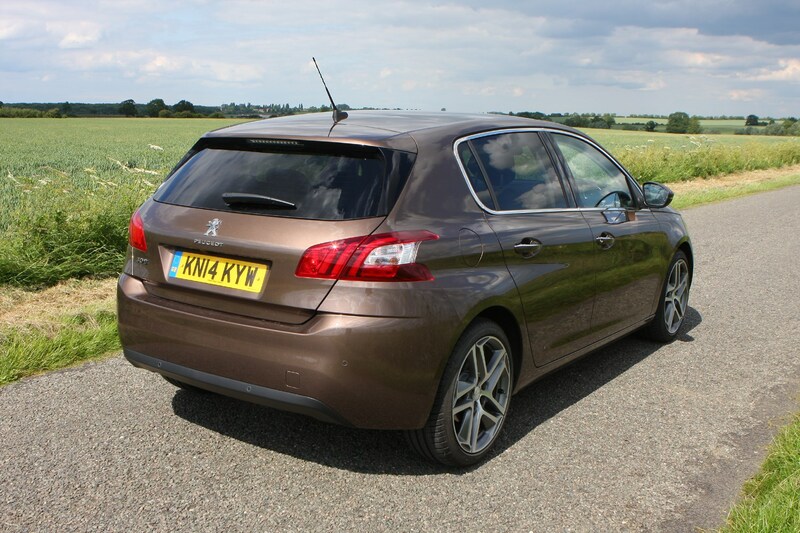 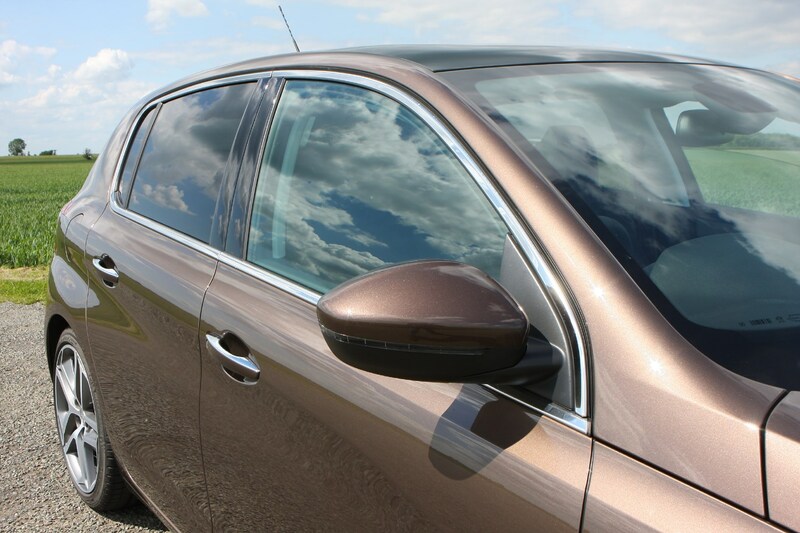 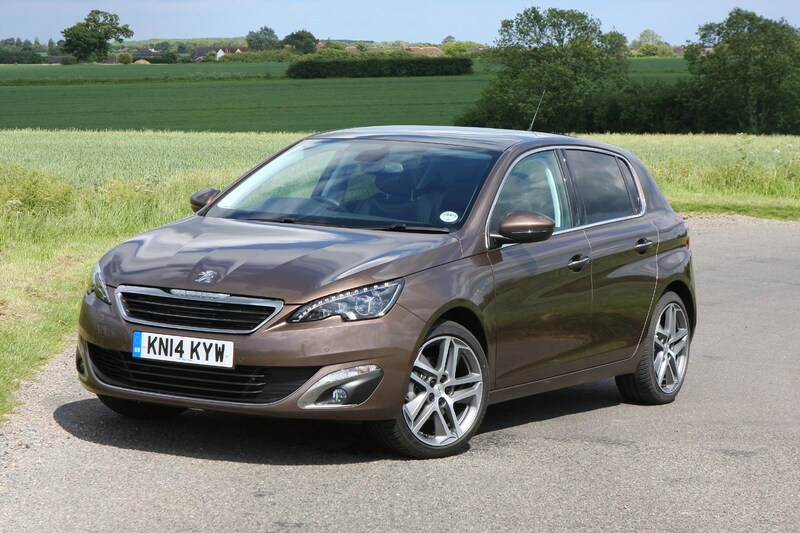 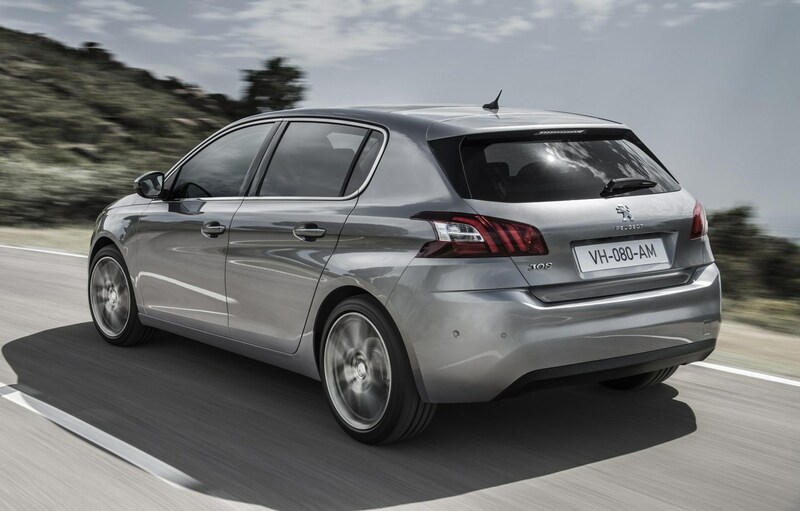 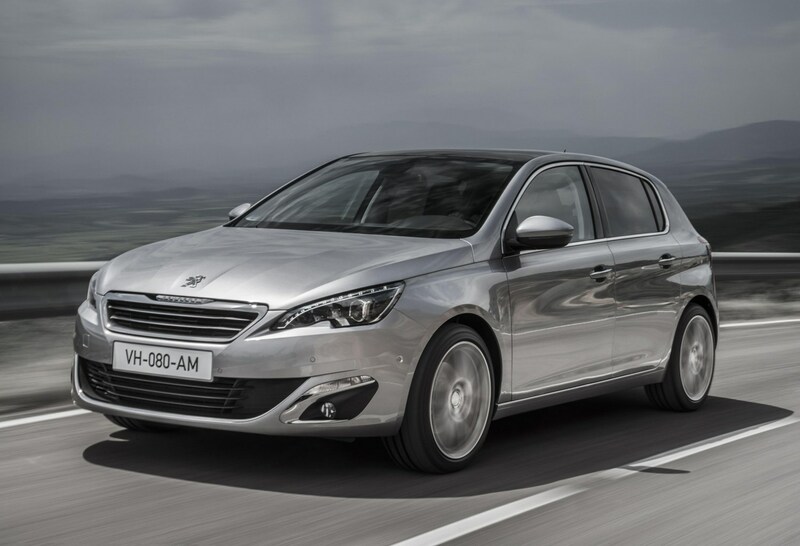 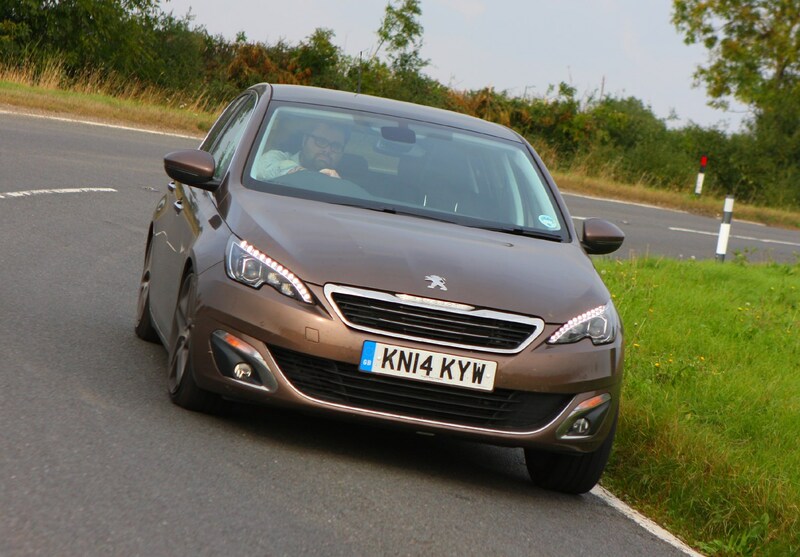 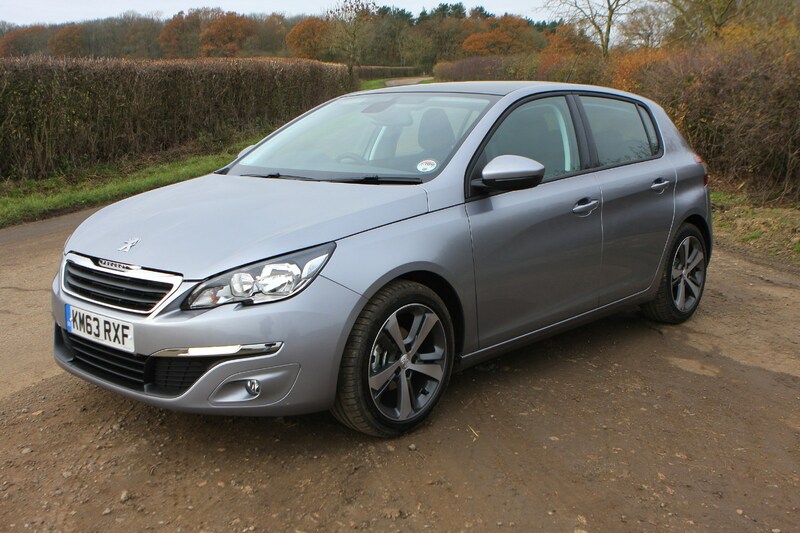 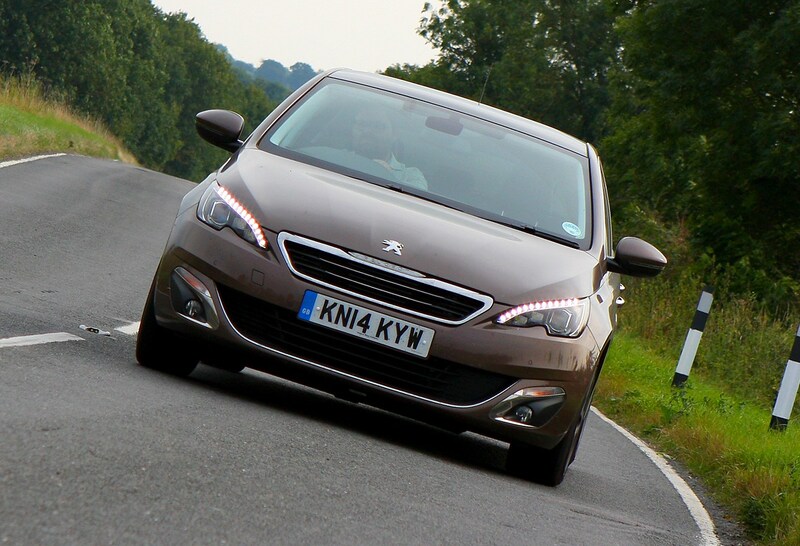 Should you buy a Peugeot 308? 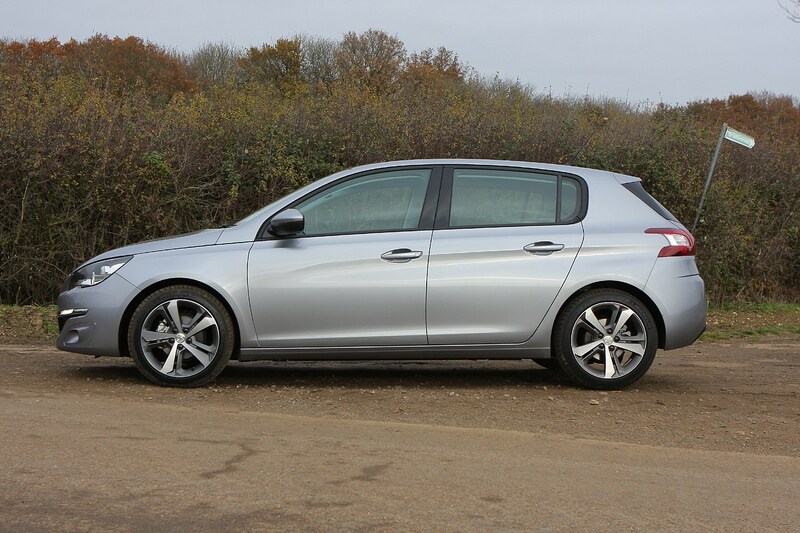 It’s fair to say previous Peugeot medium-sized hatchbacks have been quite forgettable, but with this 308 the French manufacturer is back on winning form. 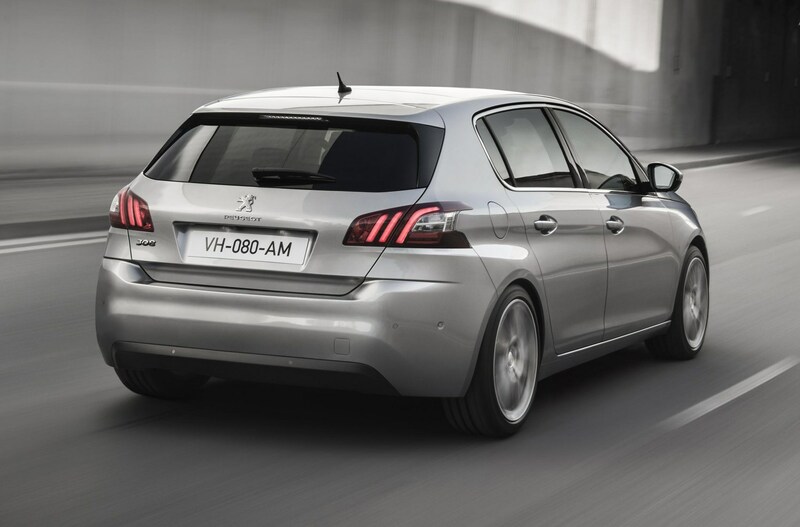 The 308 is stylish and has very competitive running costs making it one of the leading medium family hatchbacks you can buy. 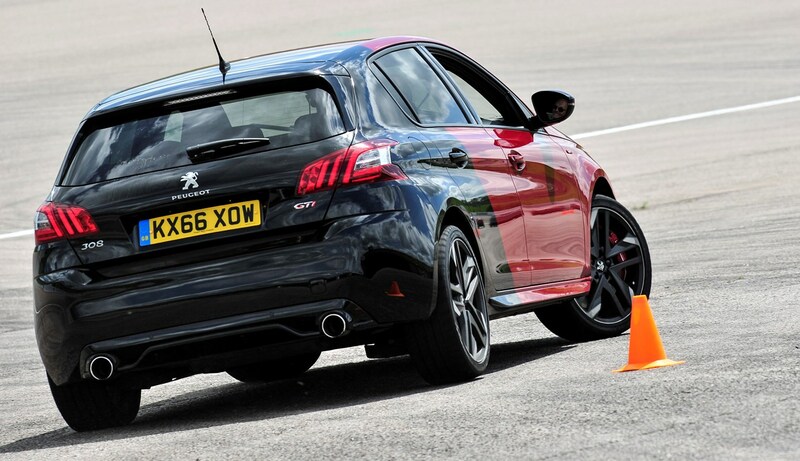 It won’t appeal to all, but we also think the 308 GTi is one of the best of the hot hatchbacks on the market, its grippy front differential and under-the-radar styling giving it stealth-fighter appeal.